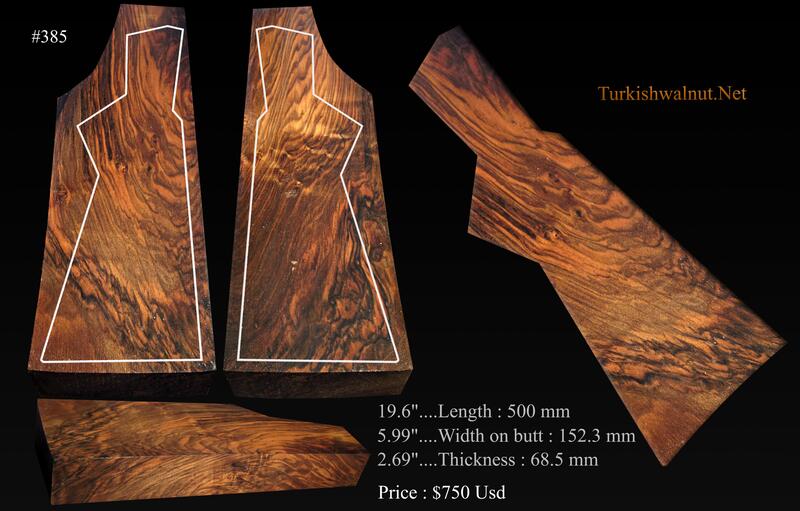 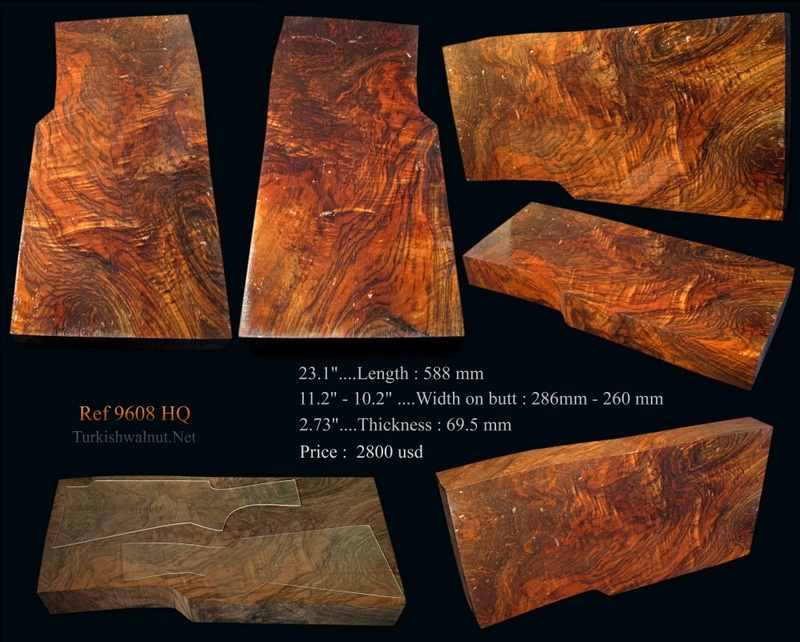 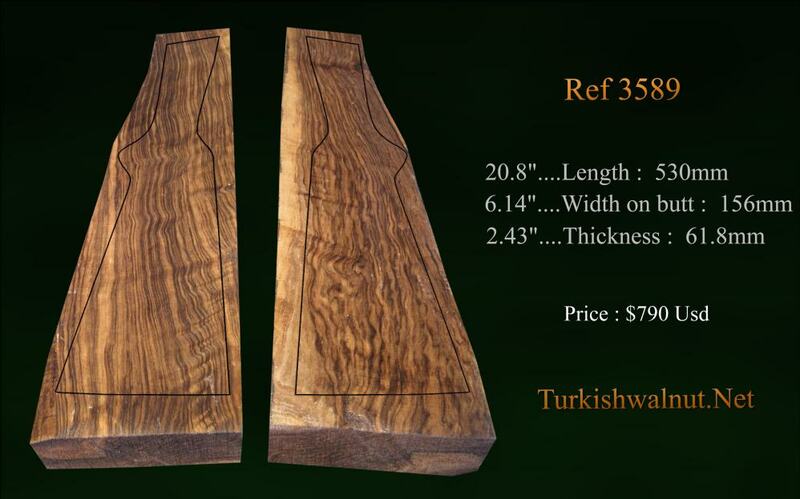 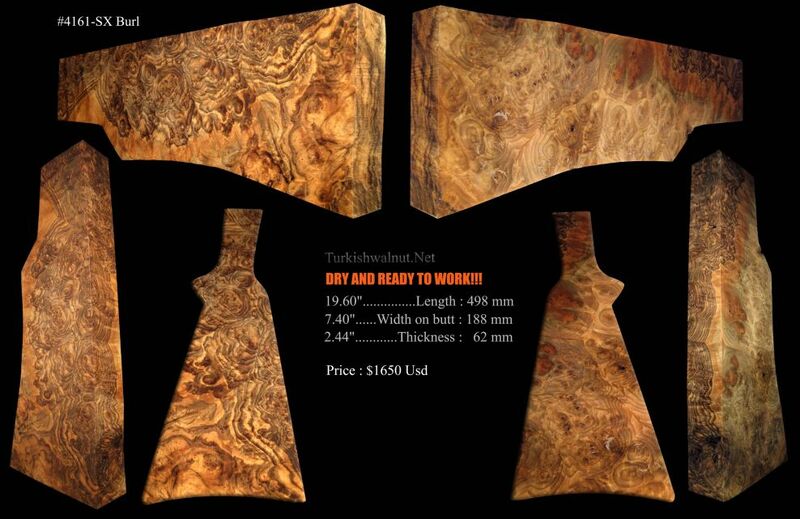 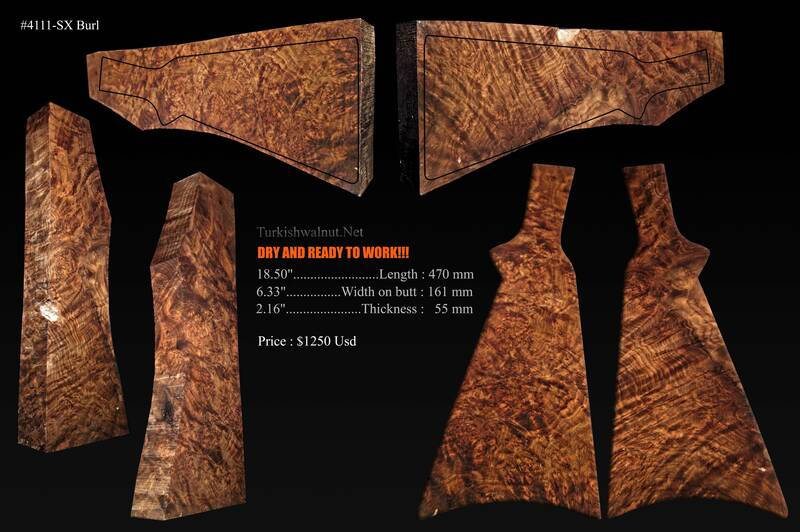 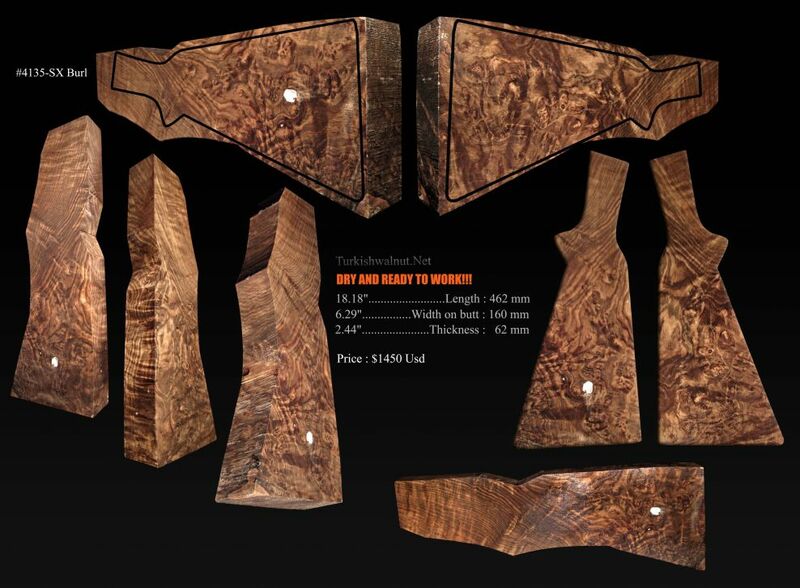 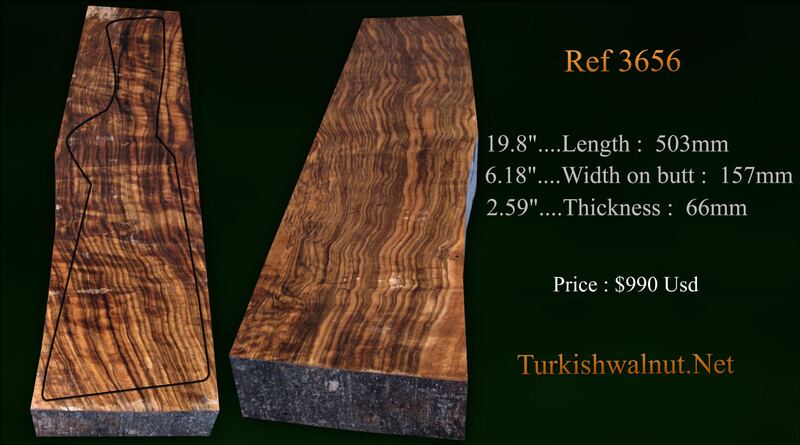 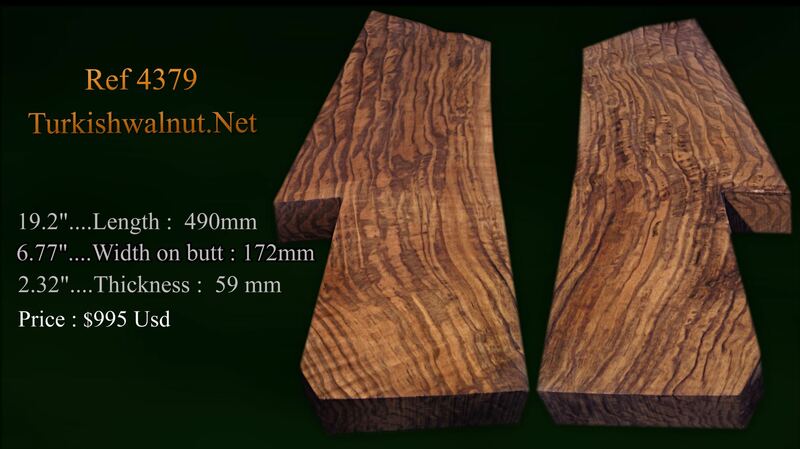 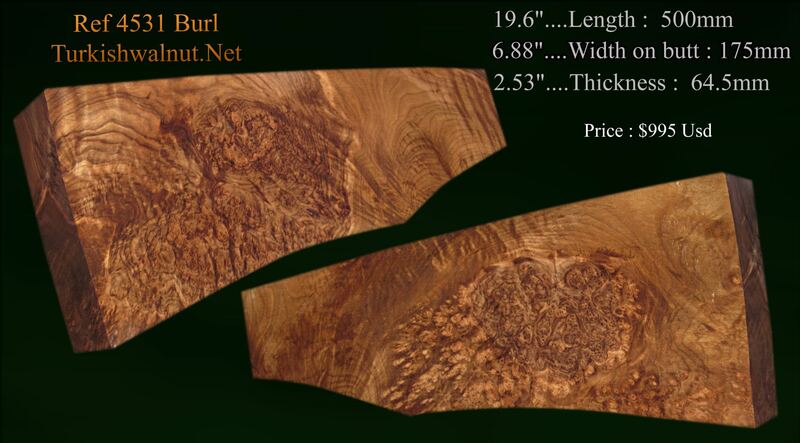 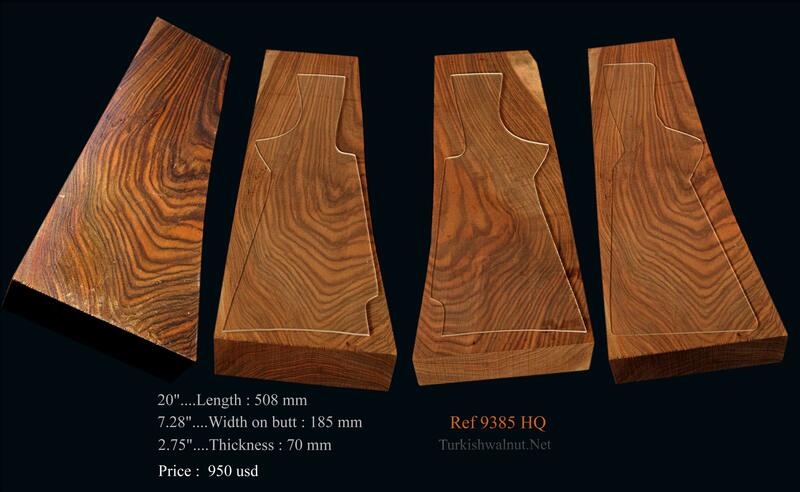 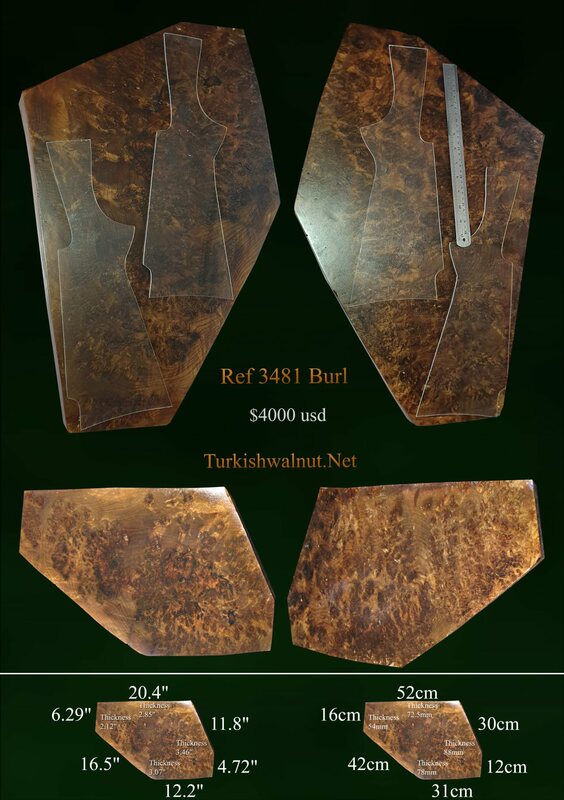 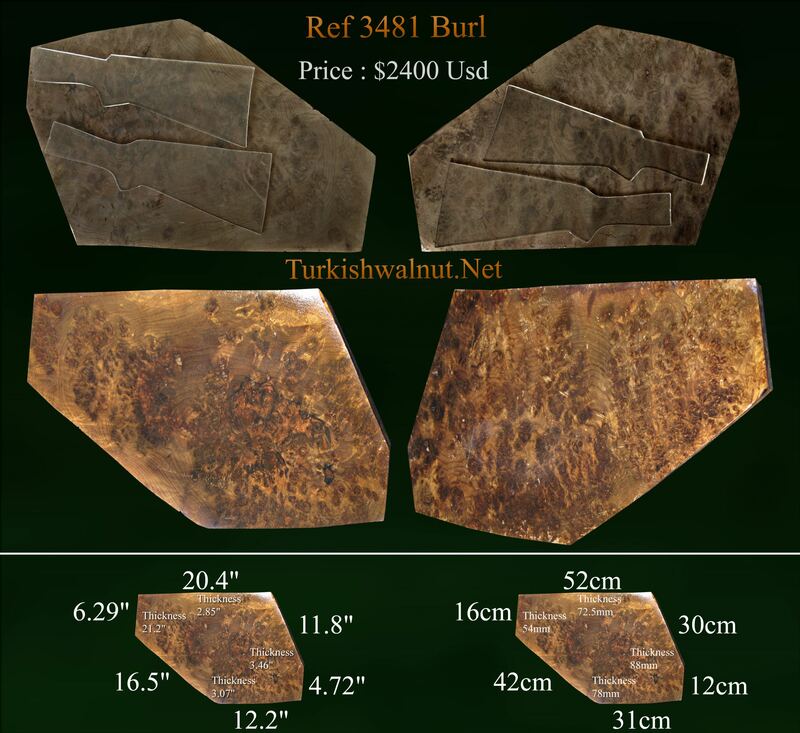 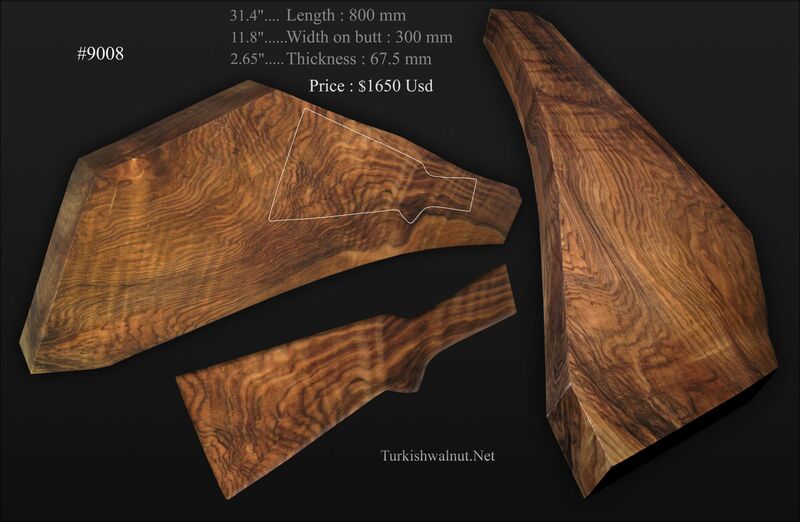 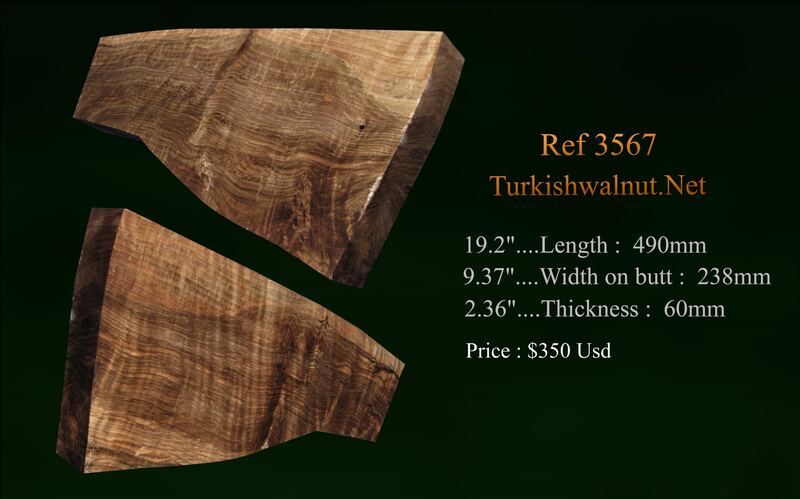 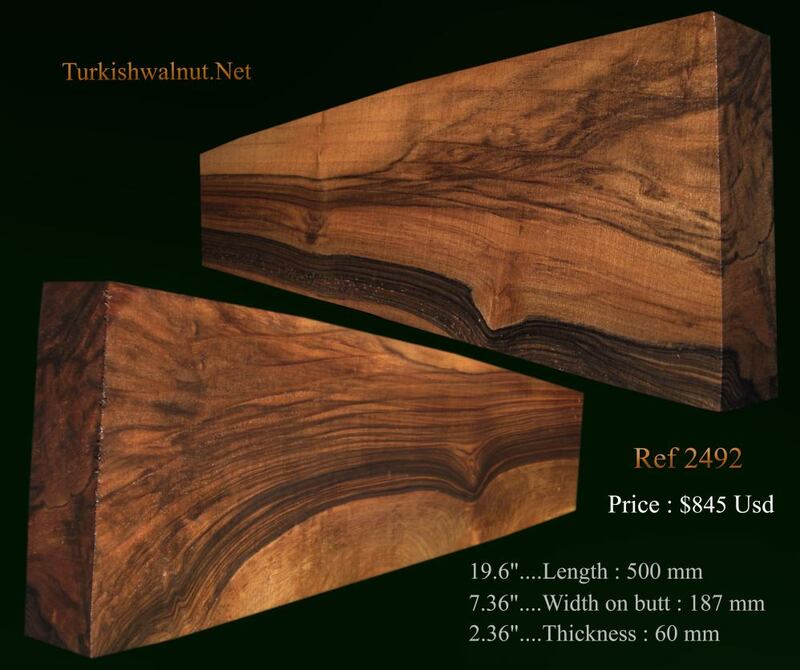 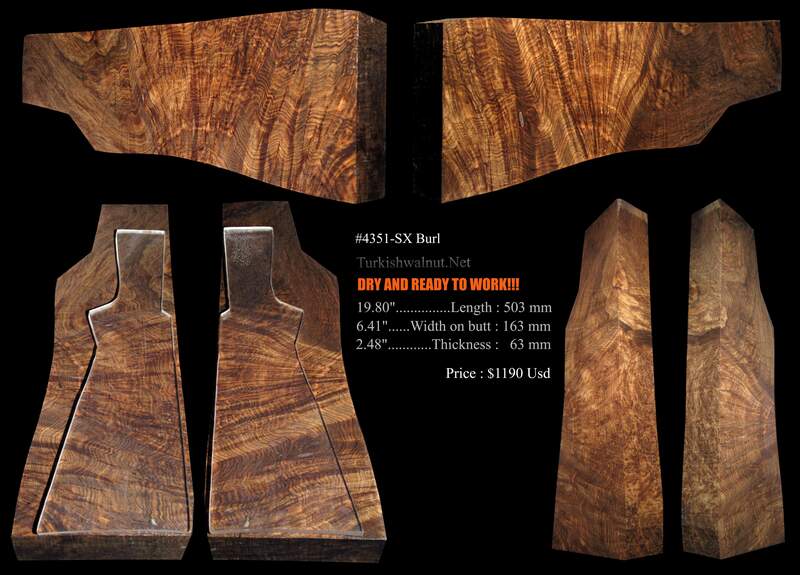 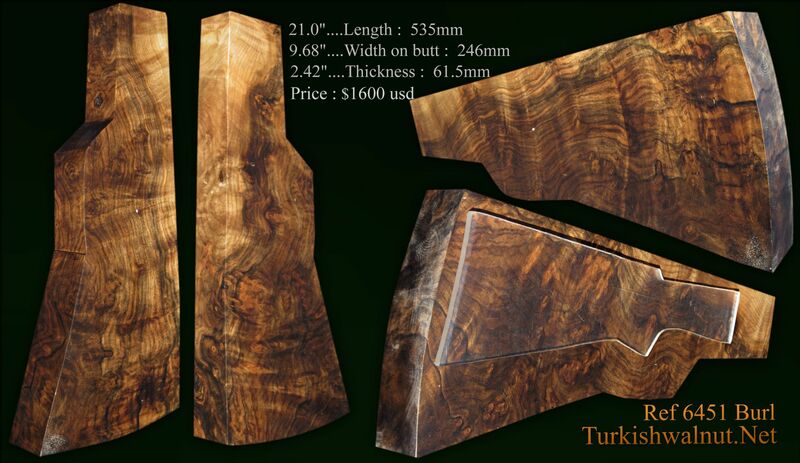 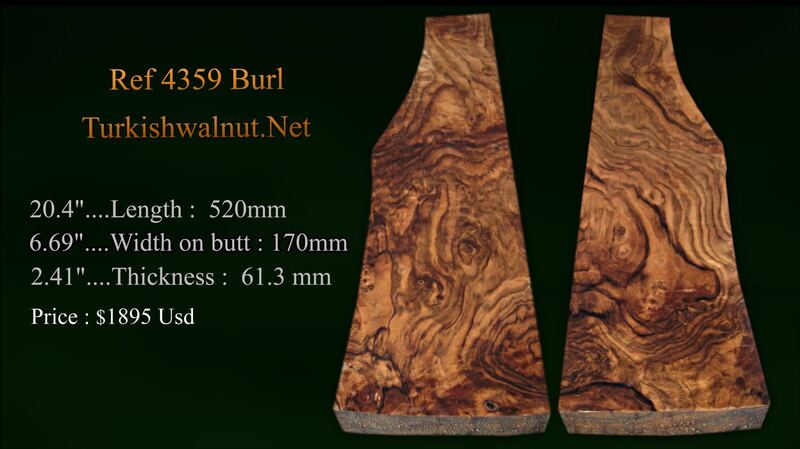 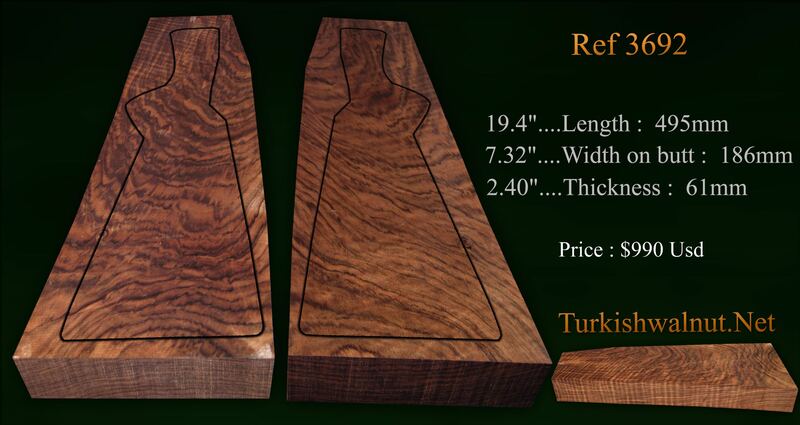 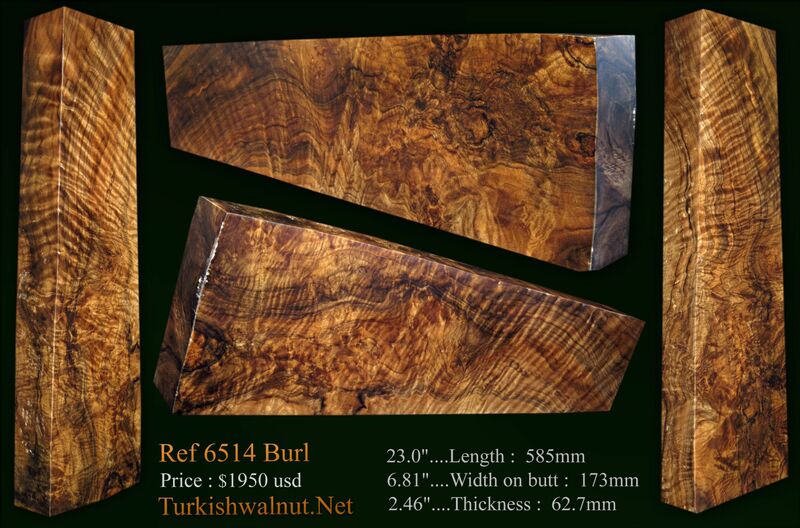 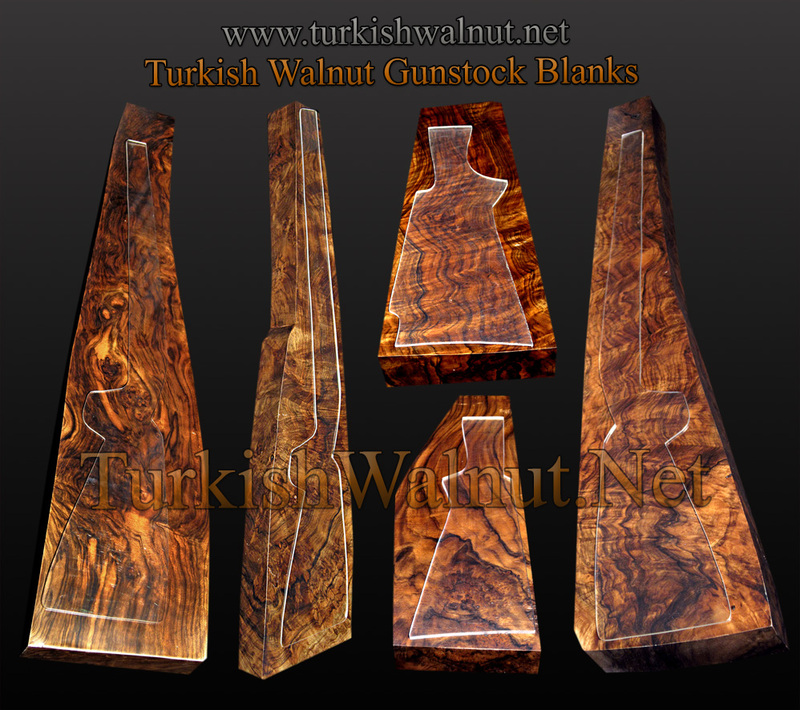 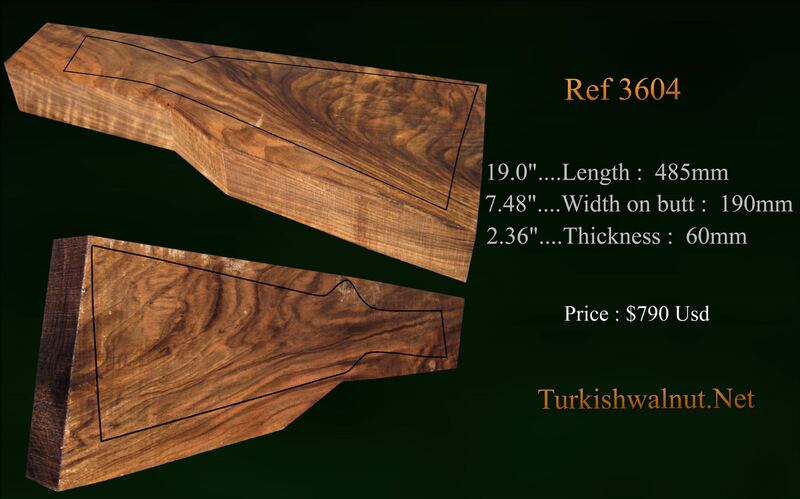 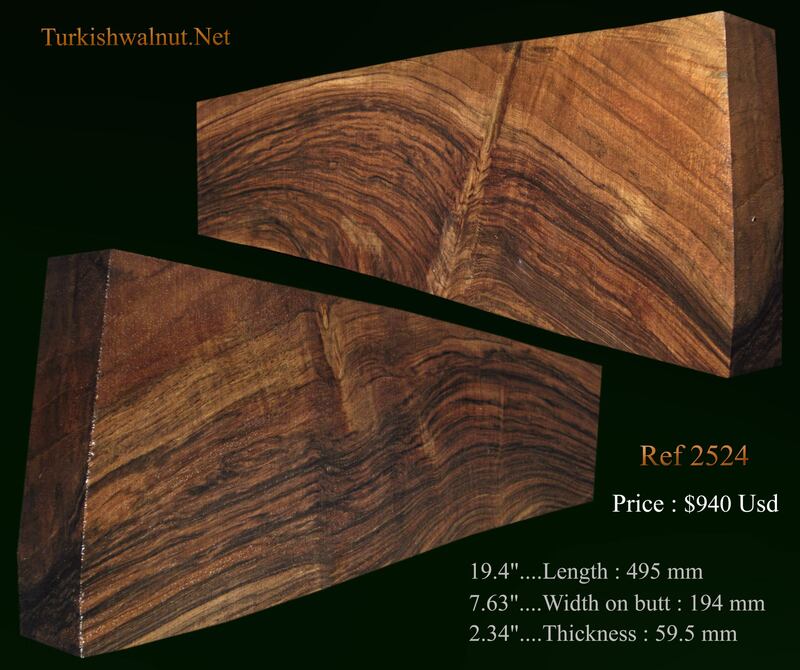 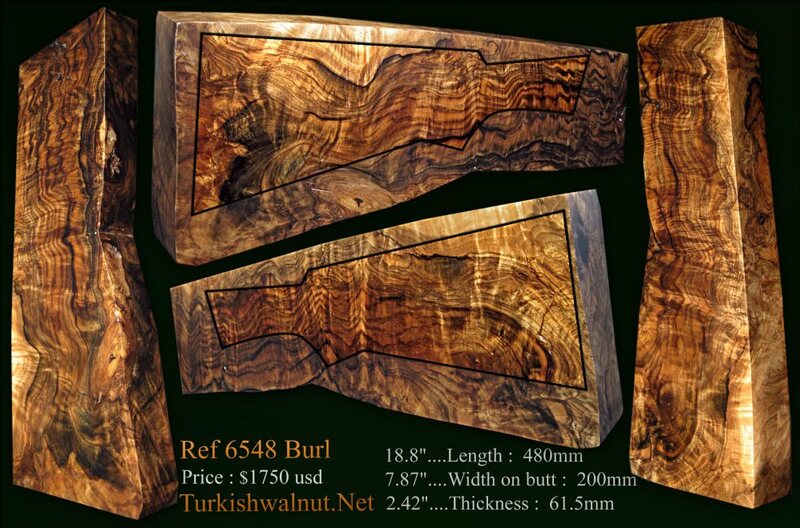 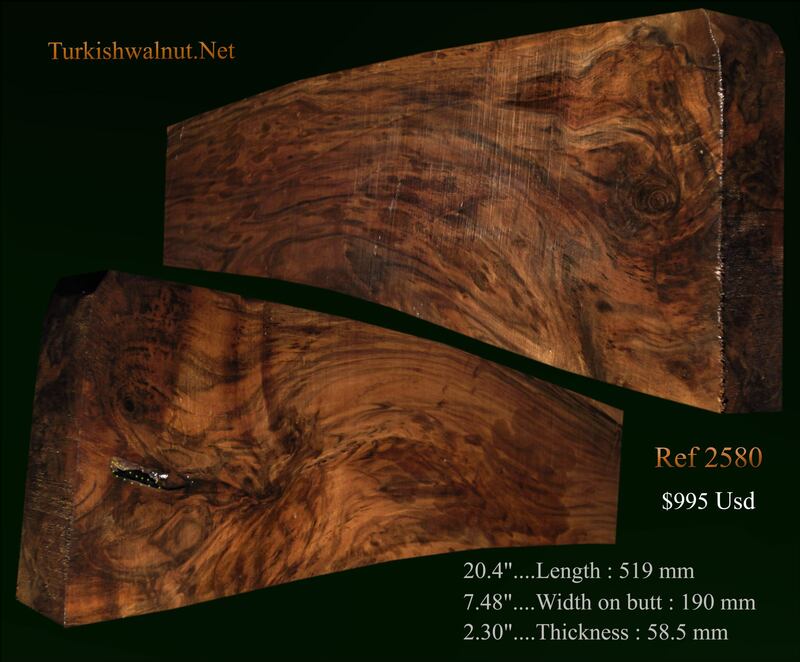 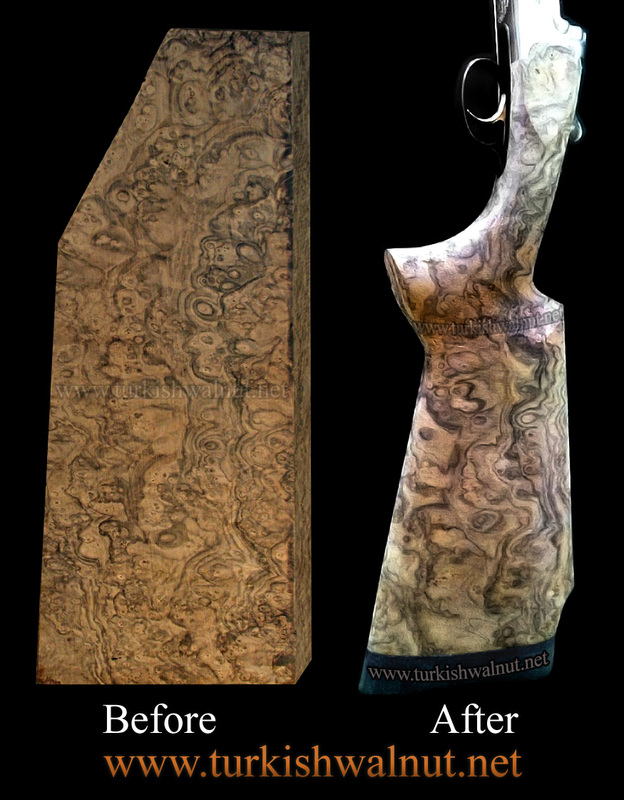 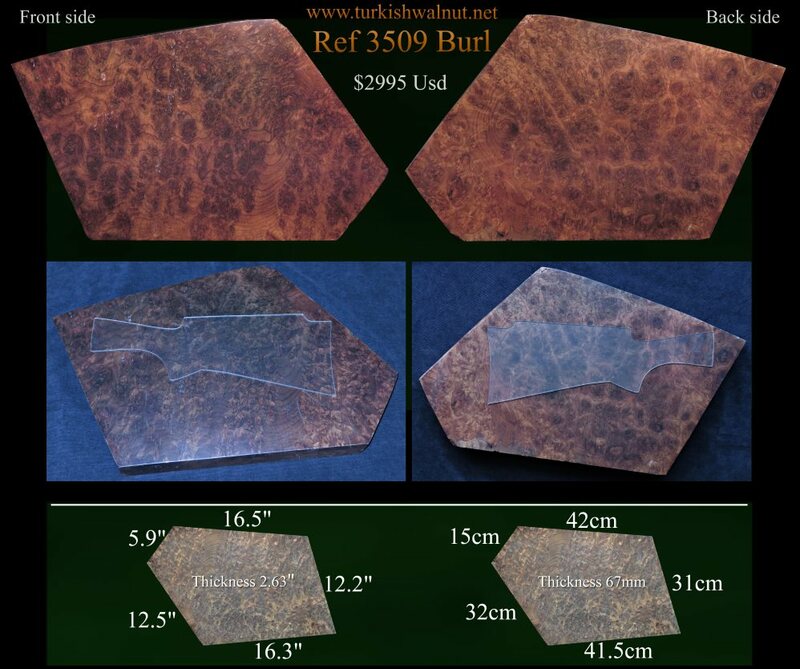 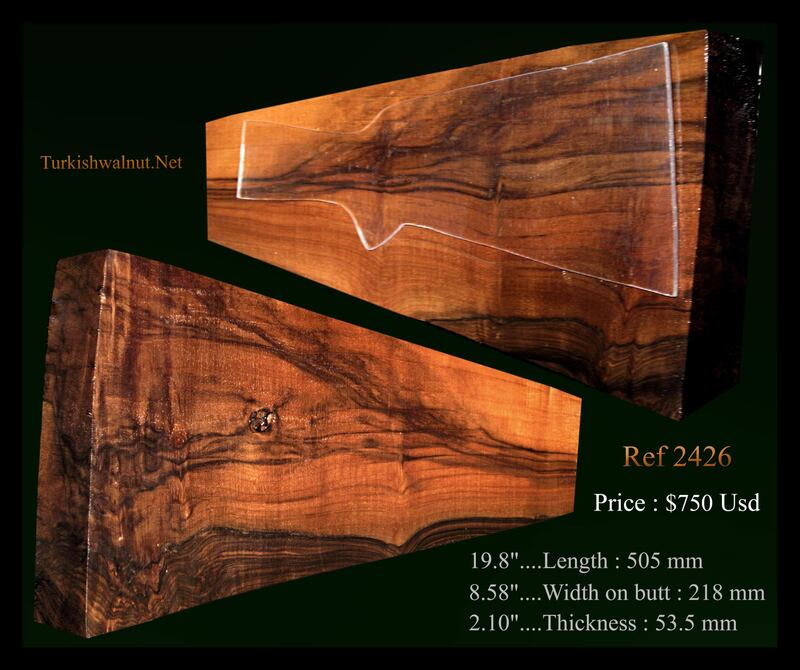 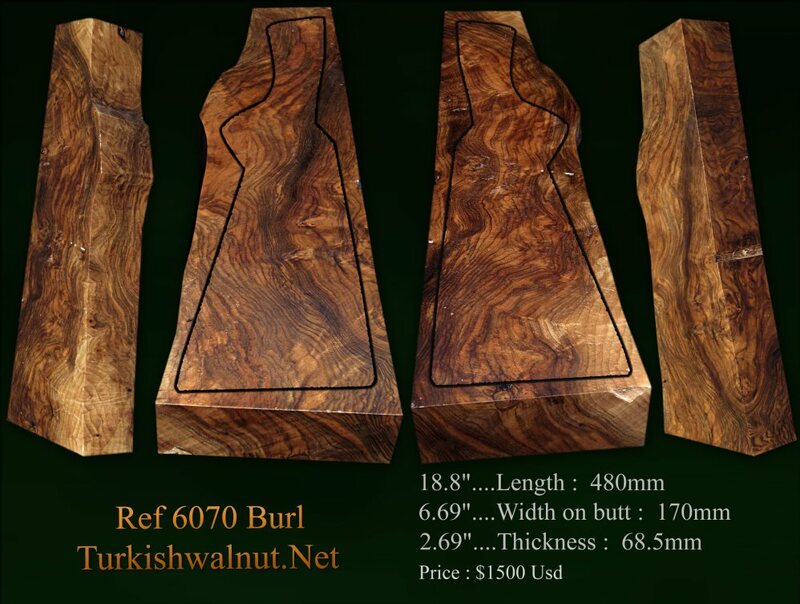 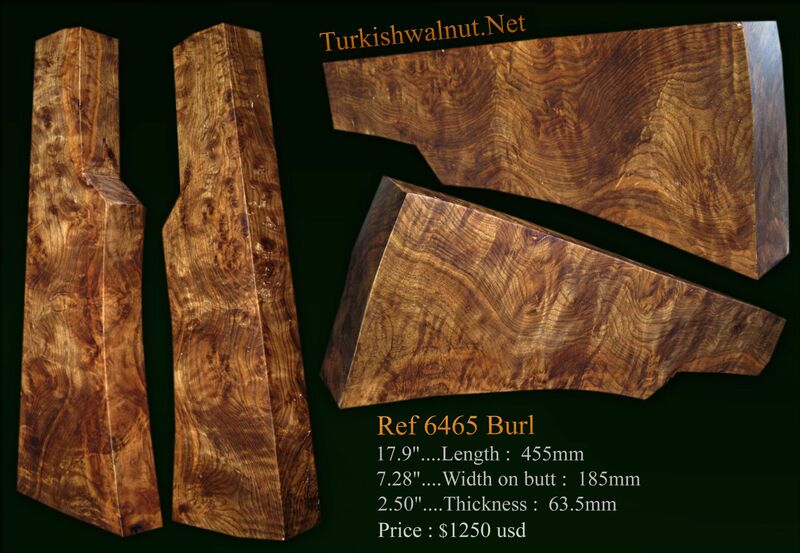 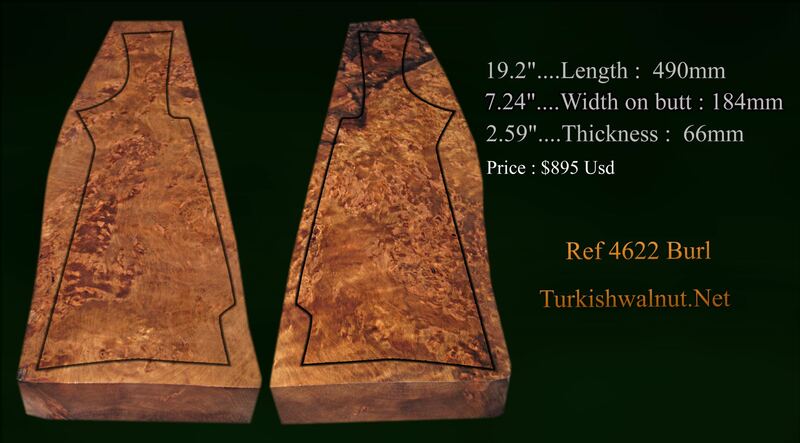 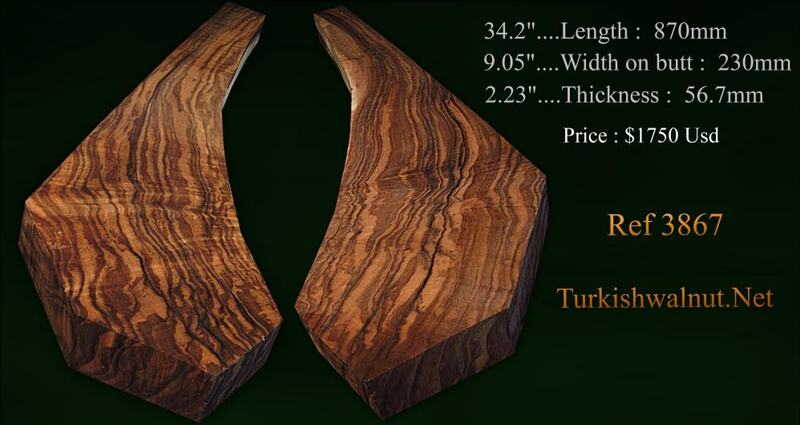 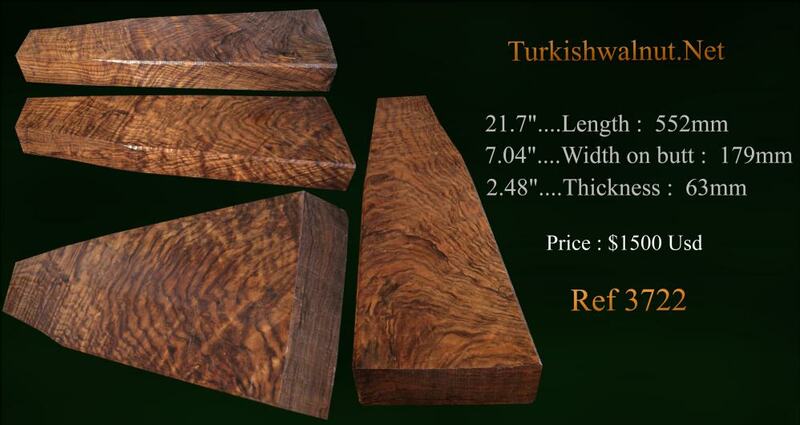 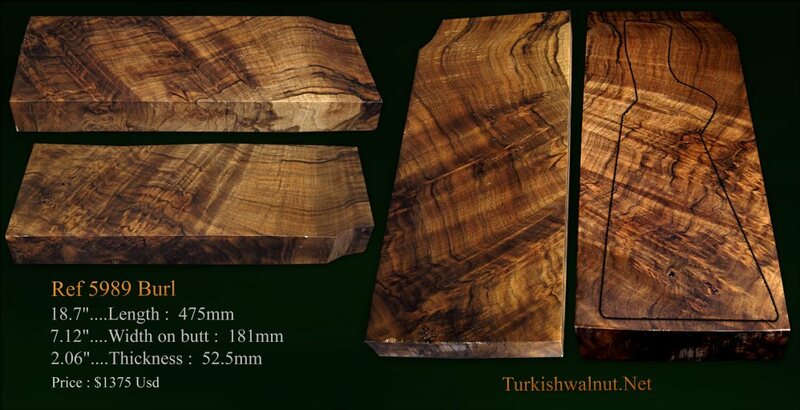 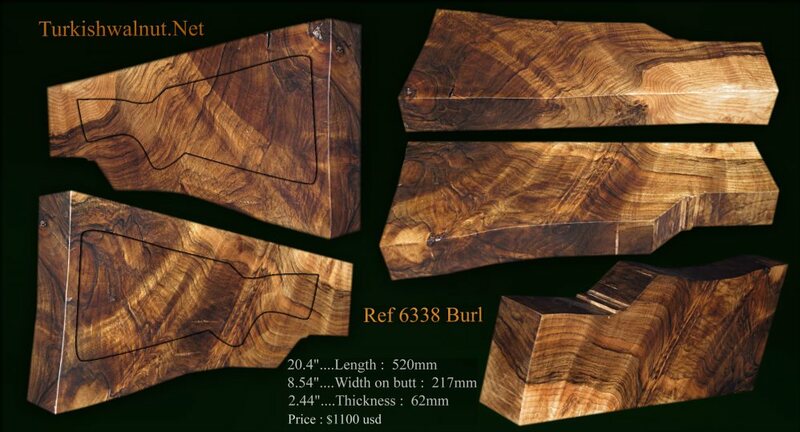 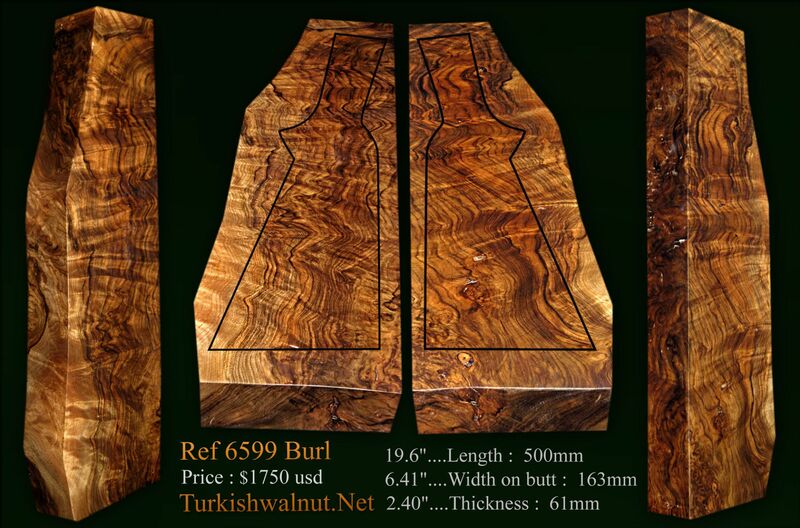 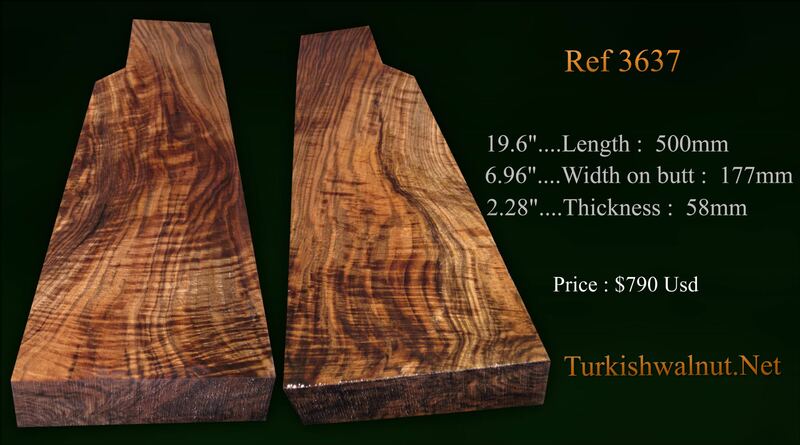 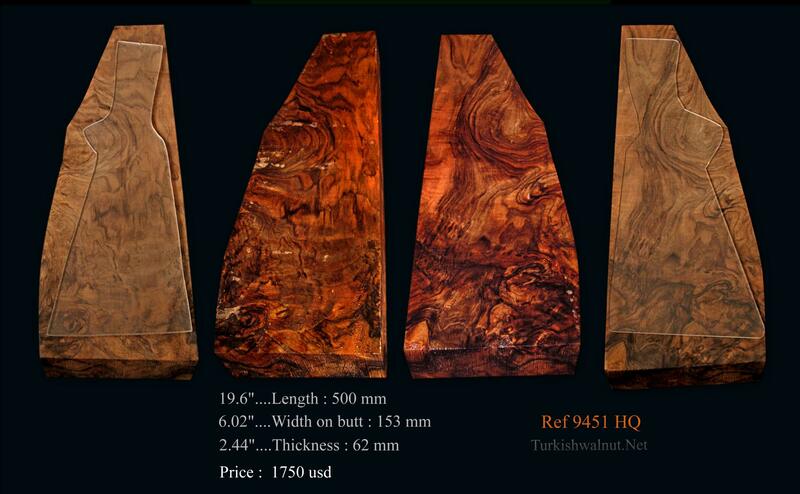 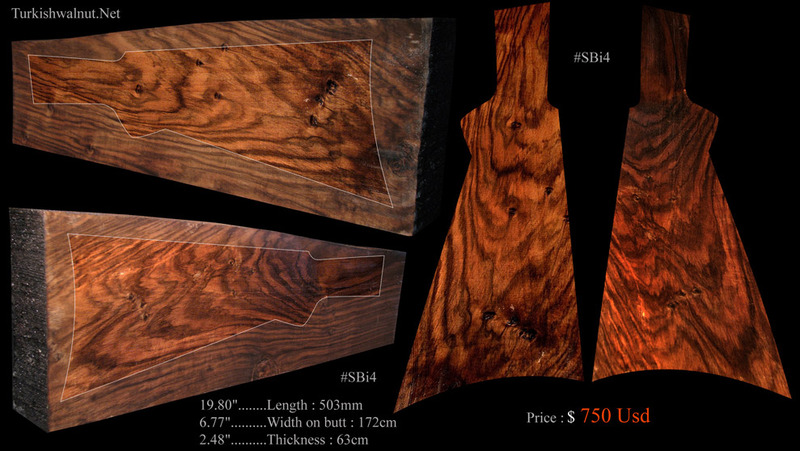 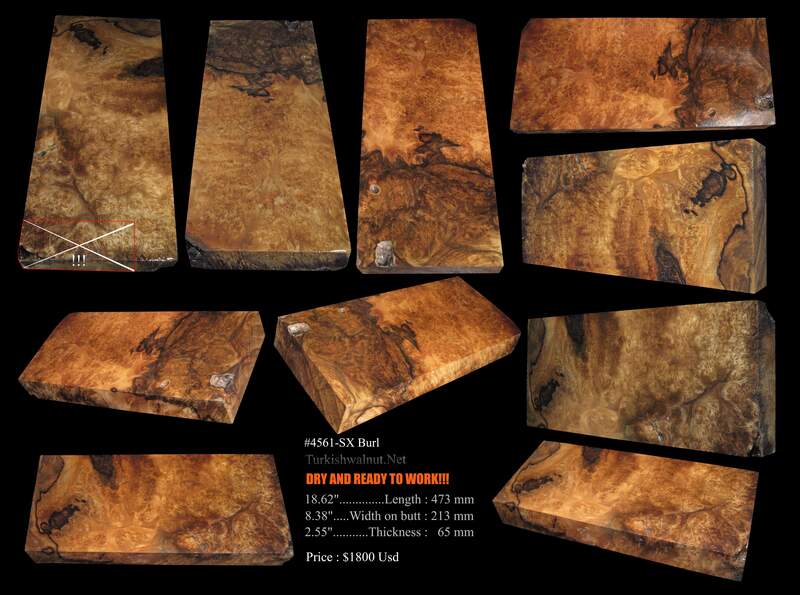 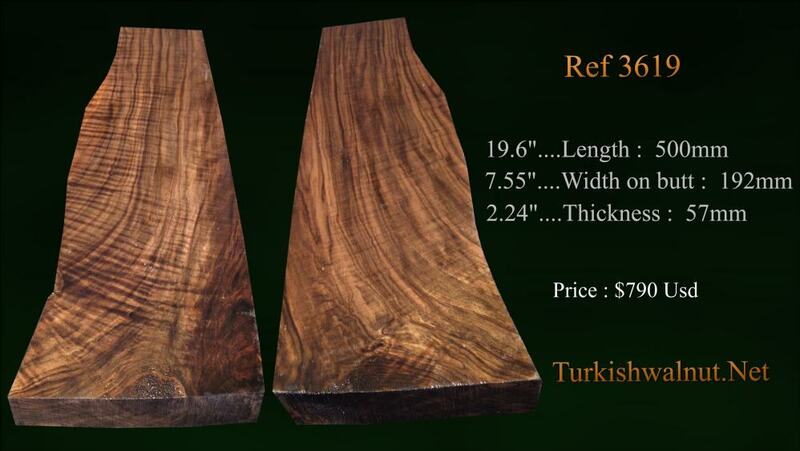 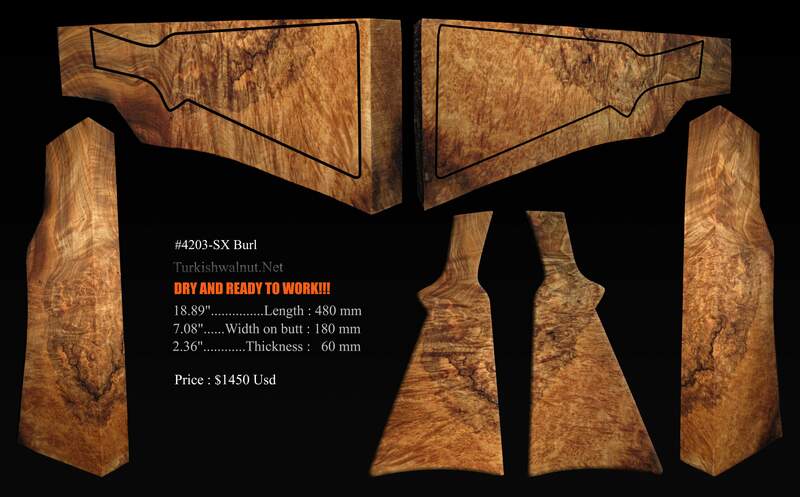 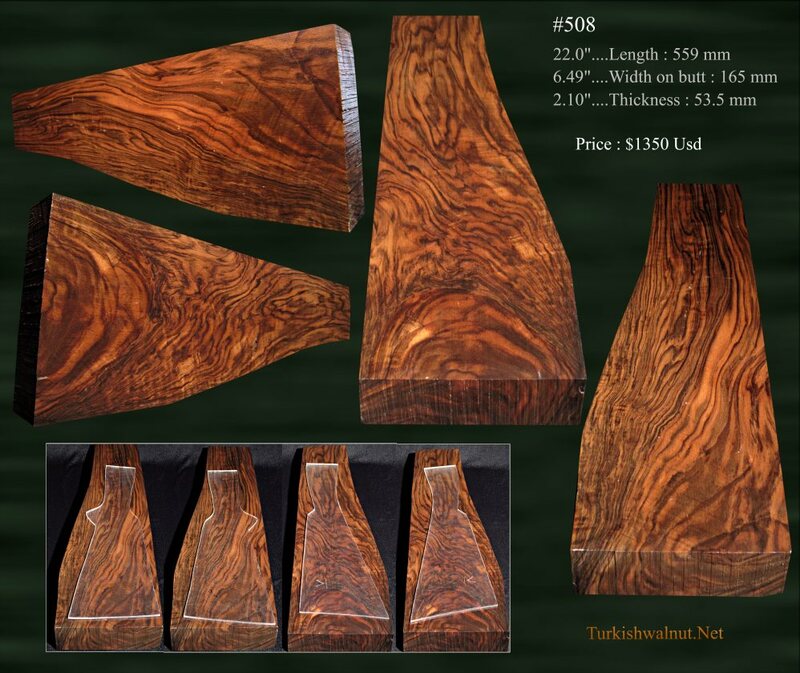 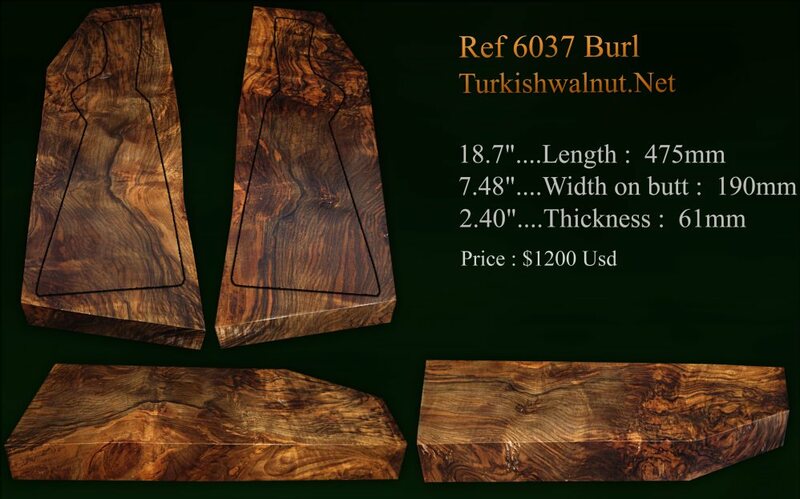 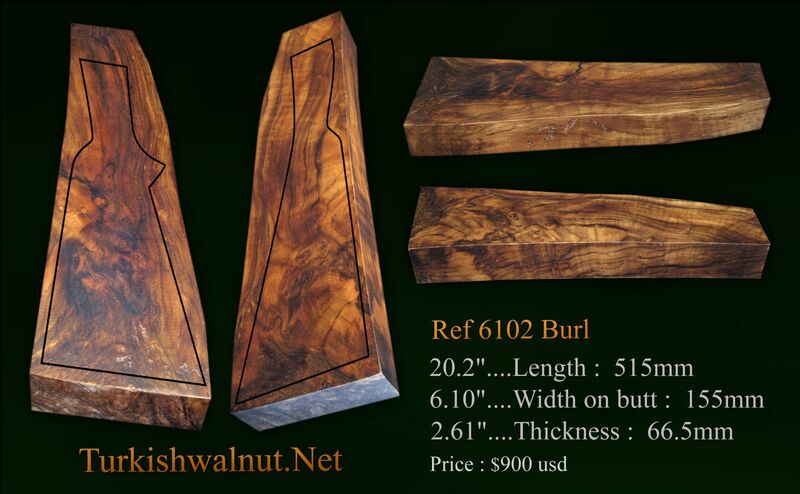 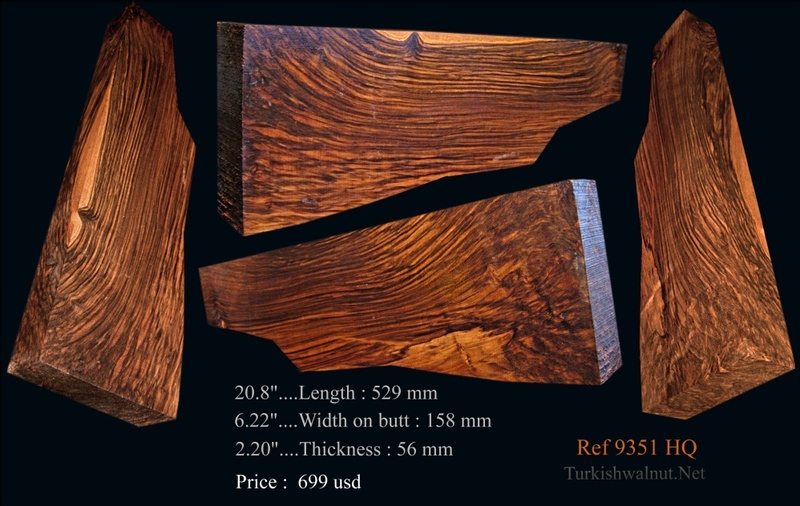 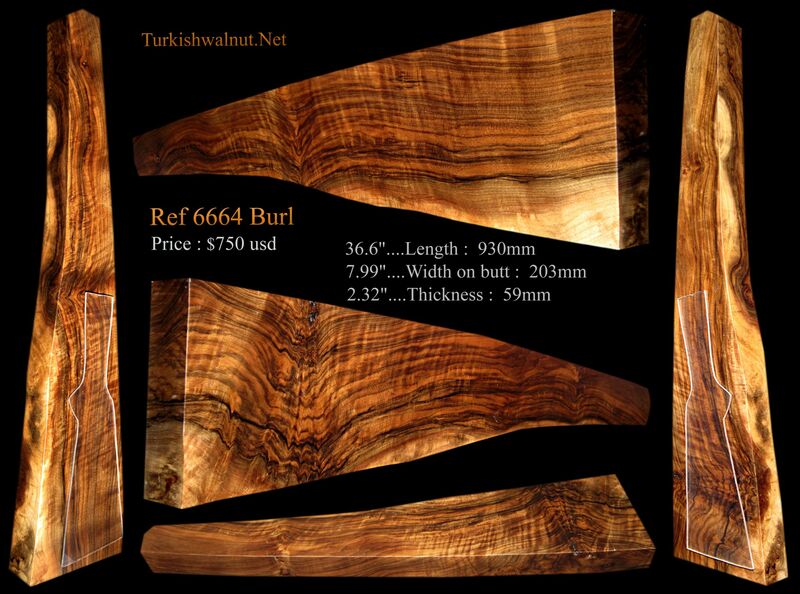 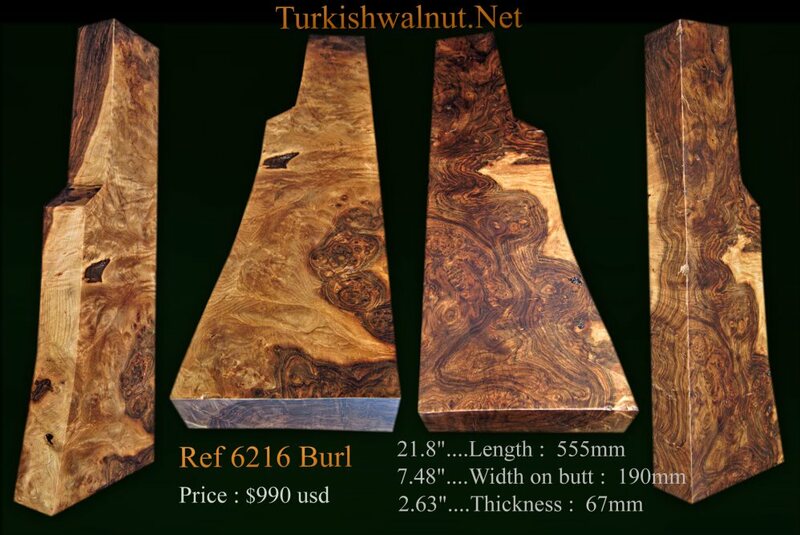 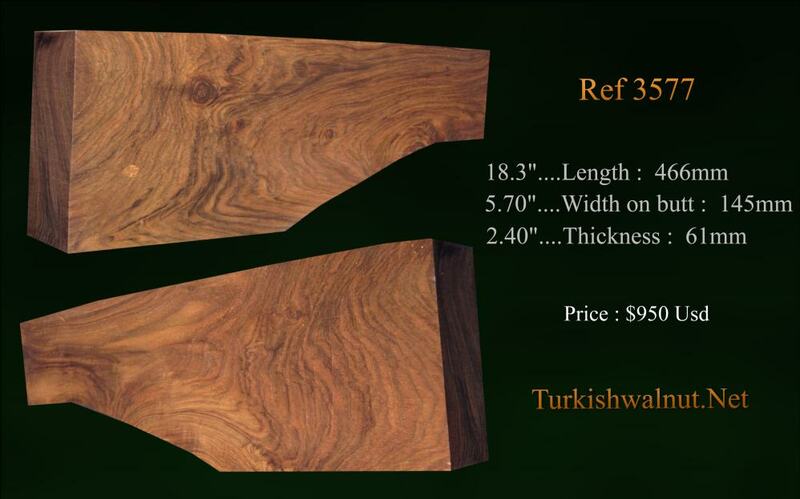 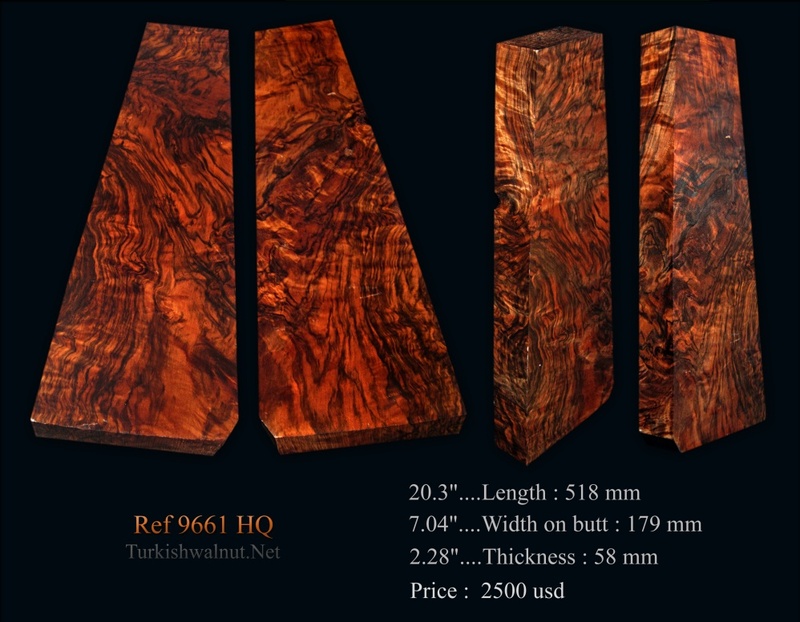 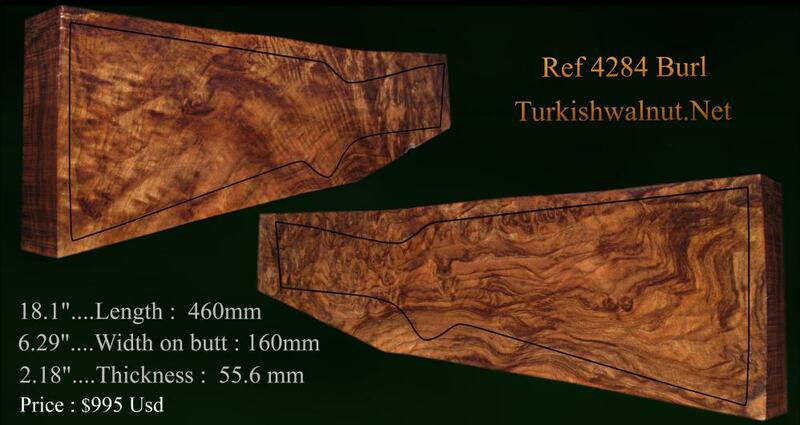 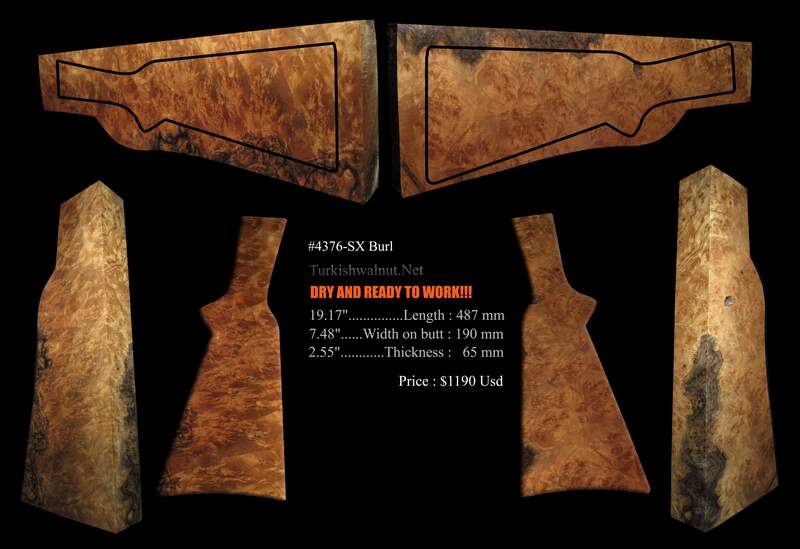 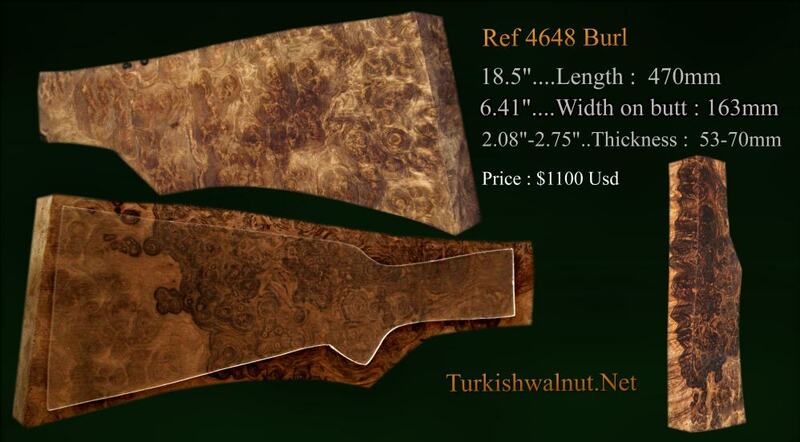 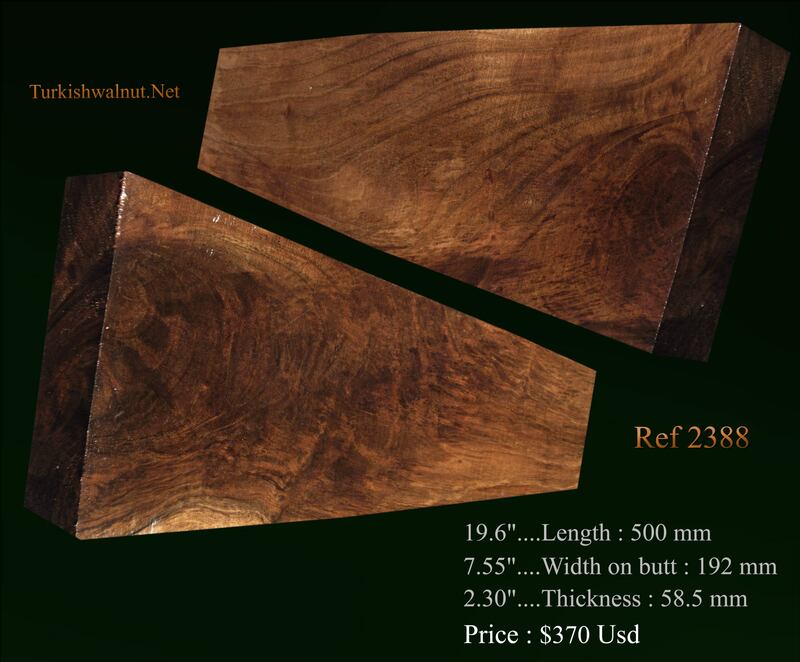 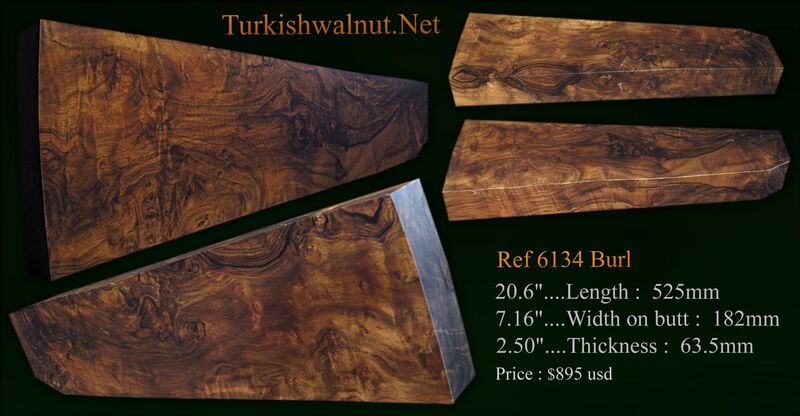 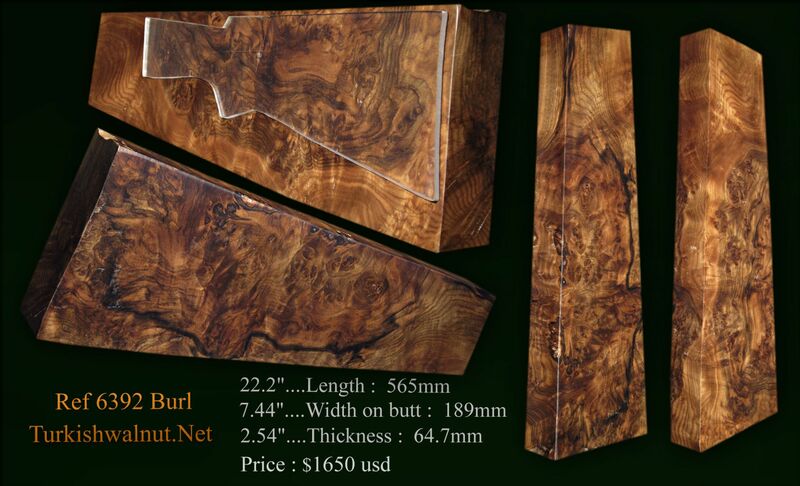 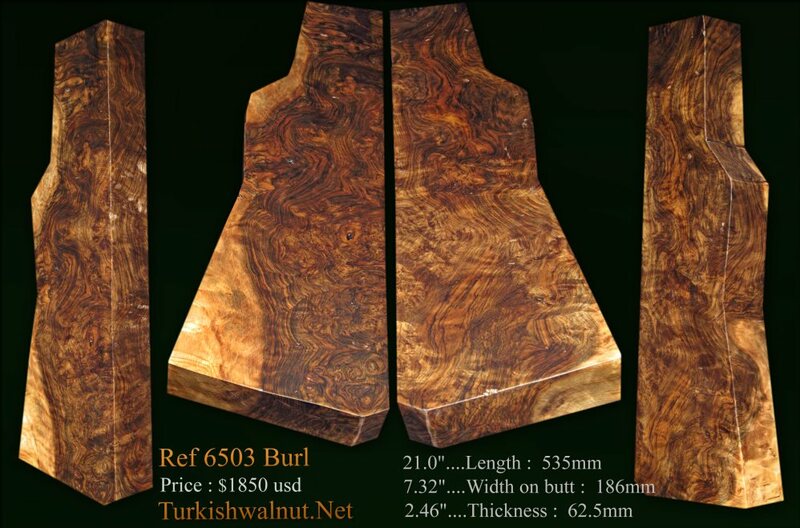 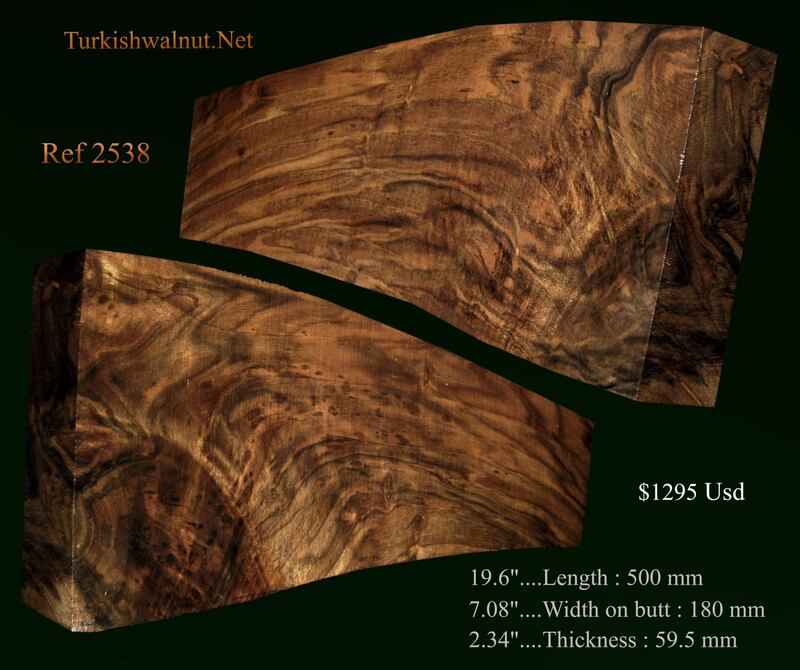 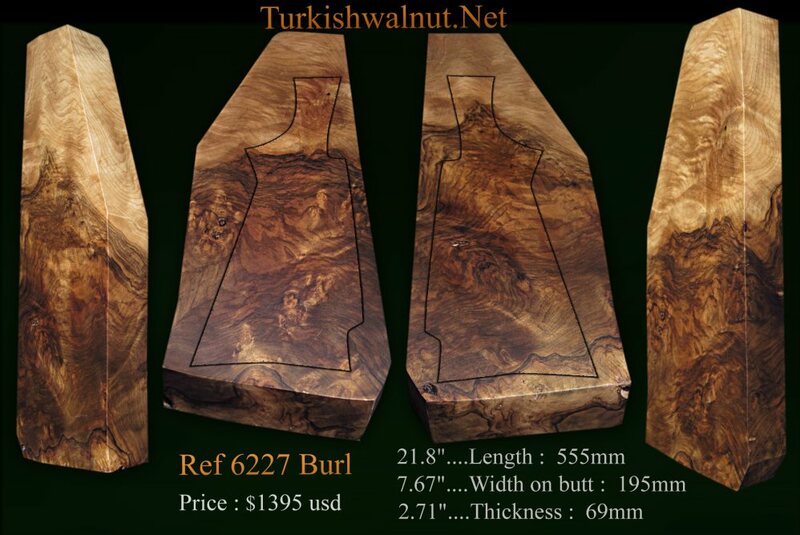 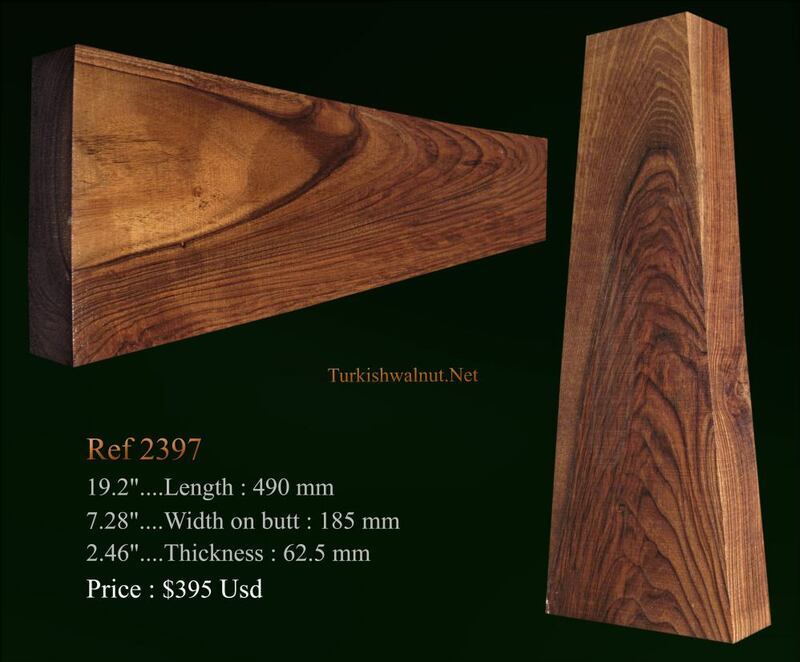 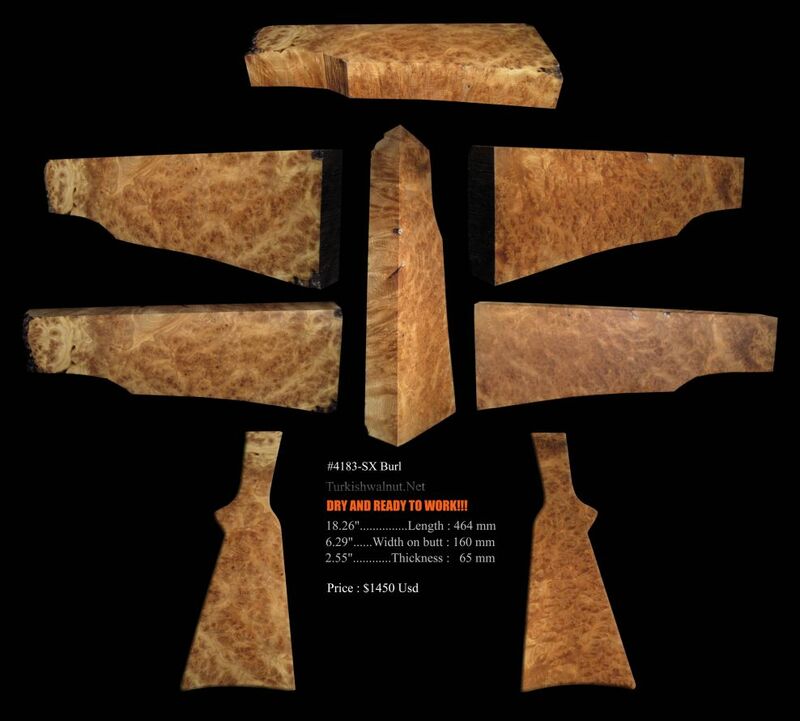 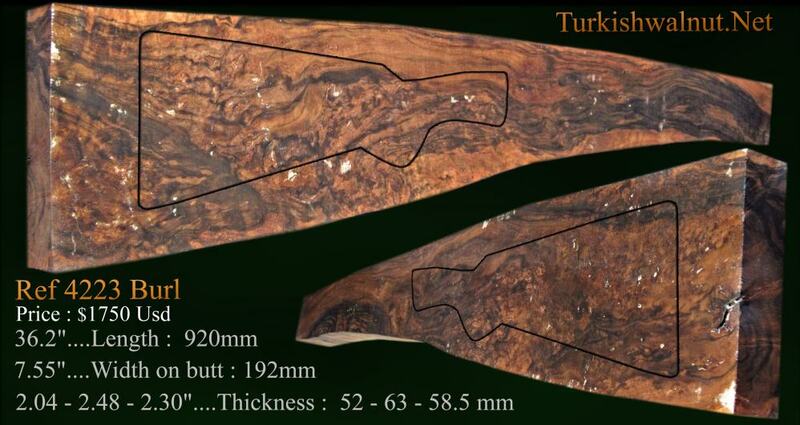 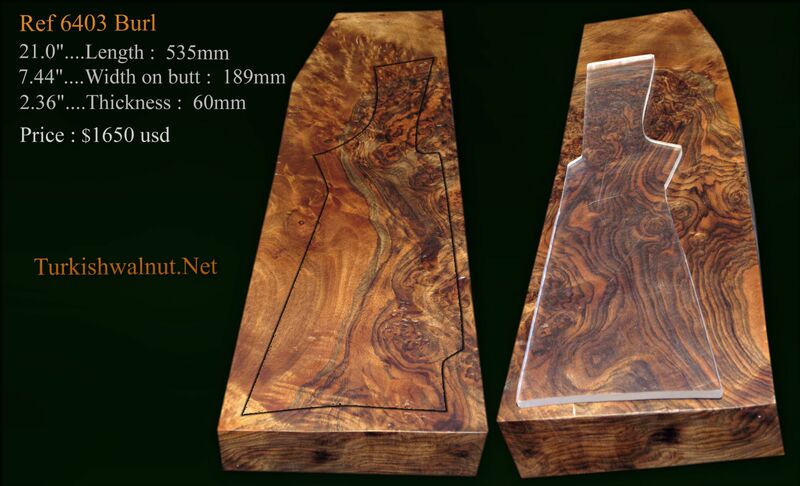 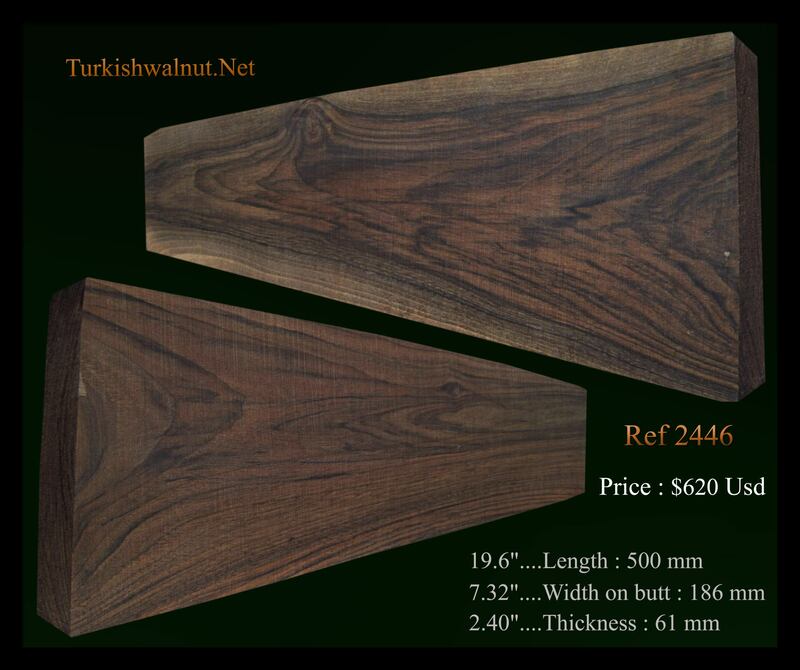 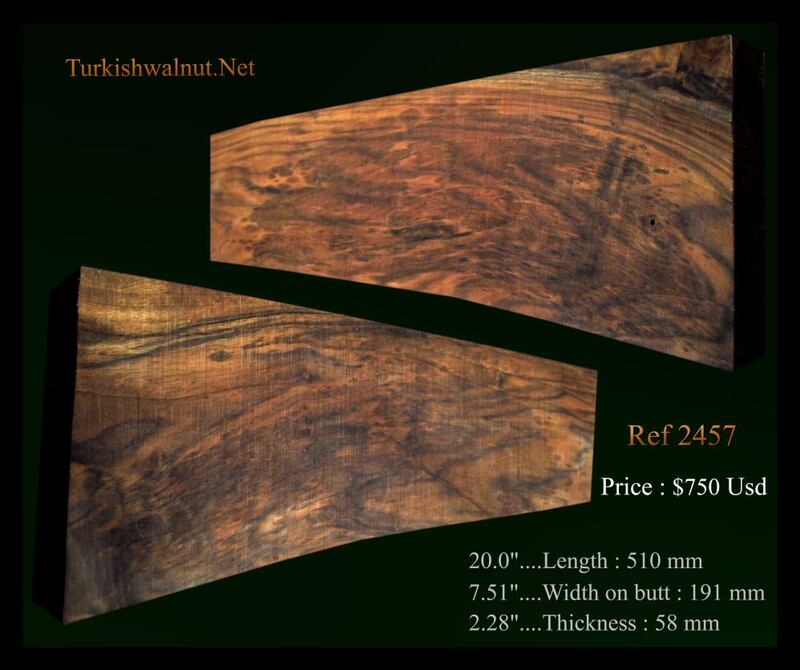 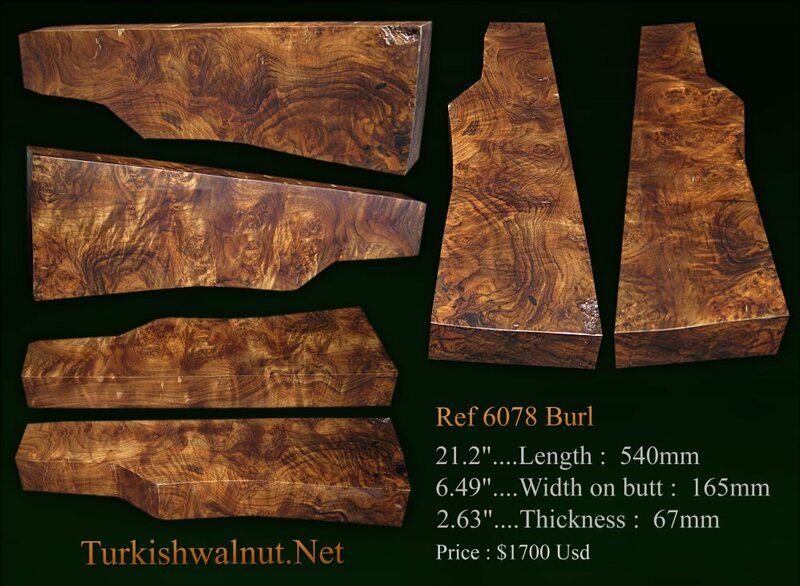 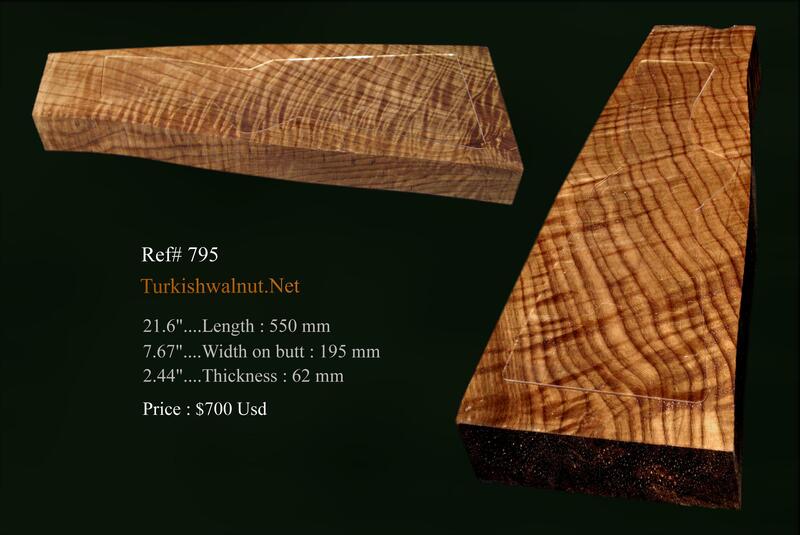 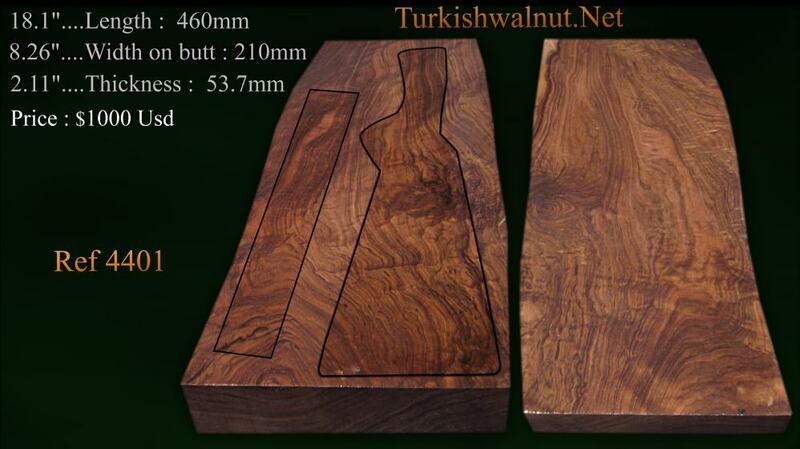 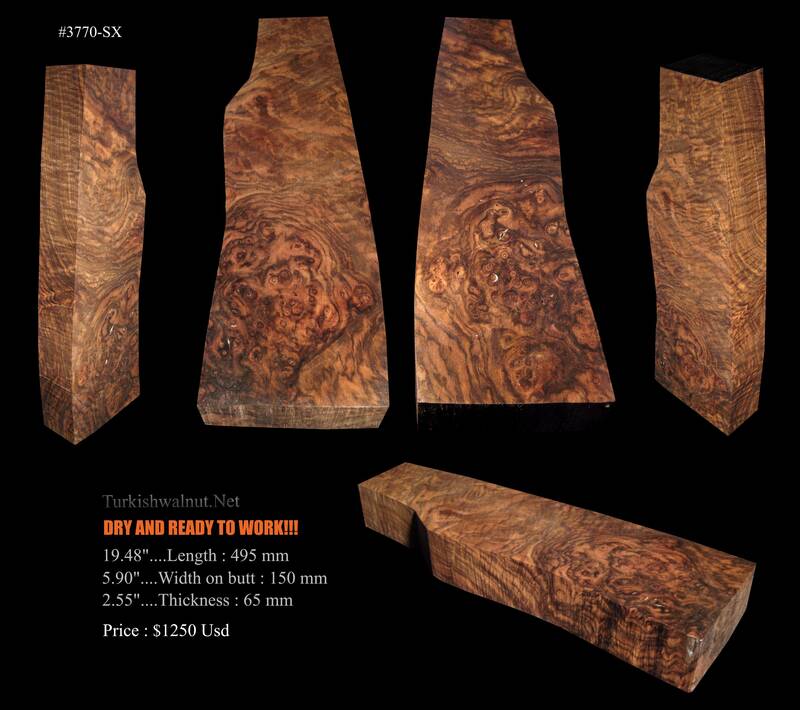 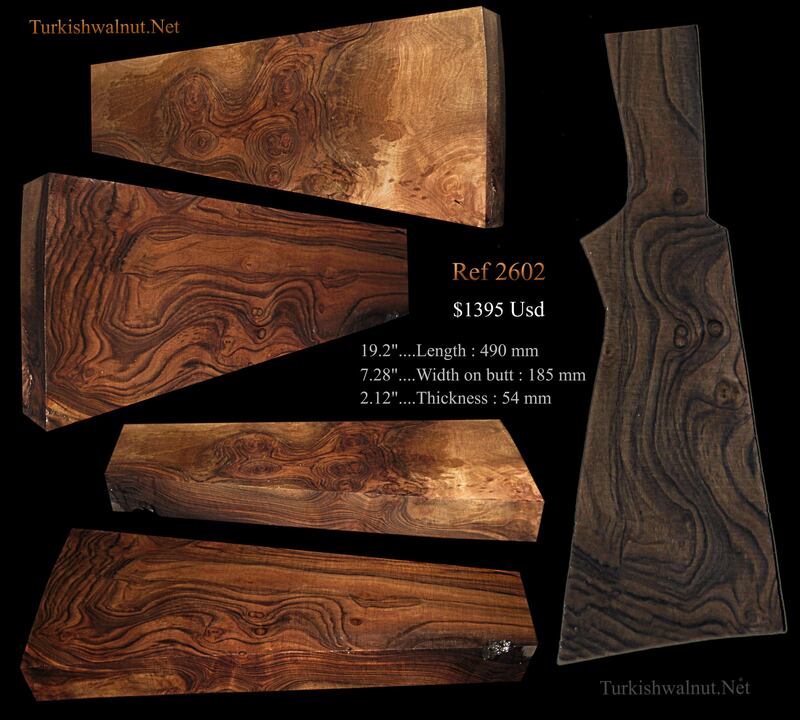 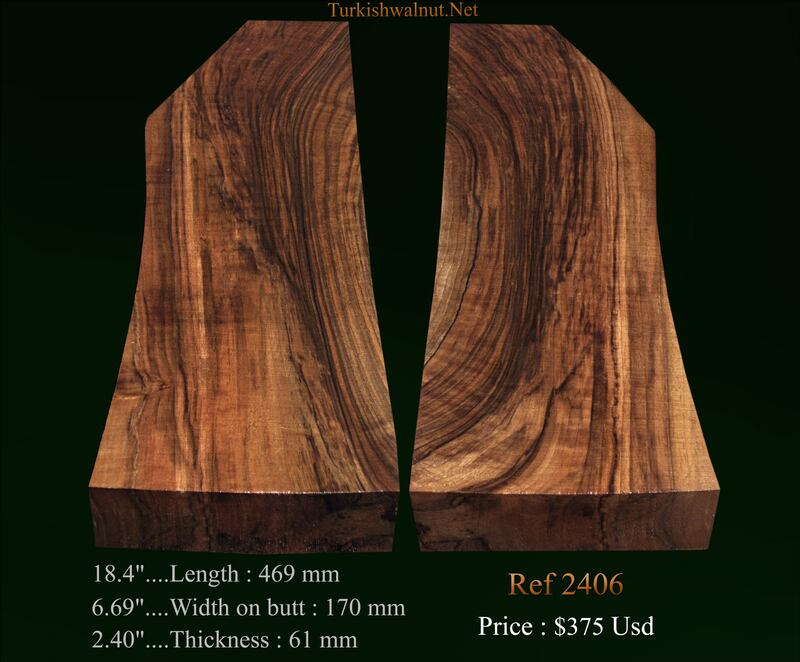 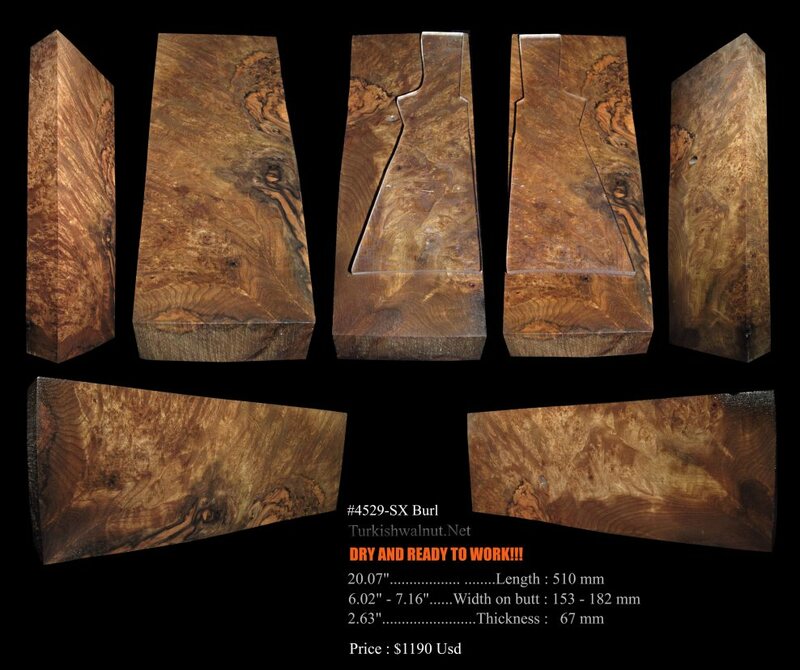 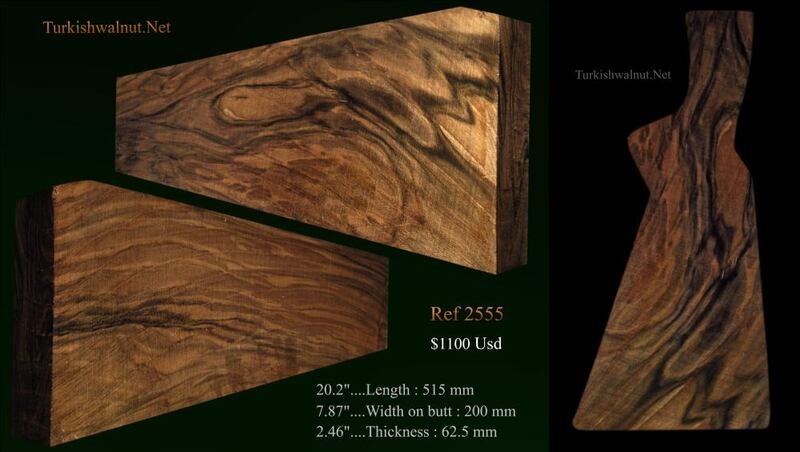 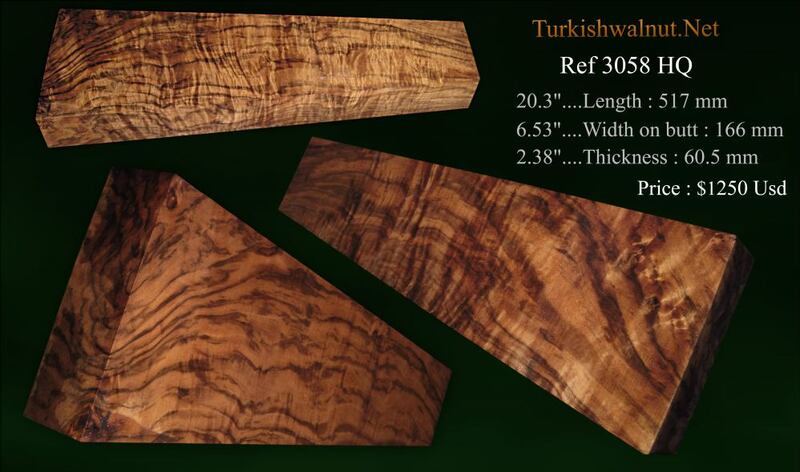 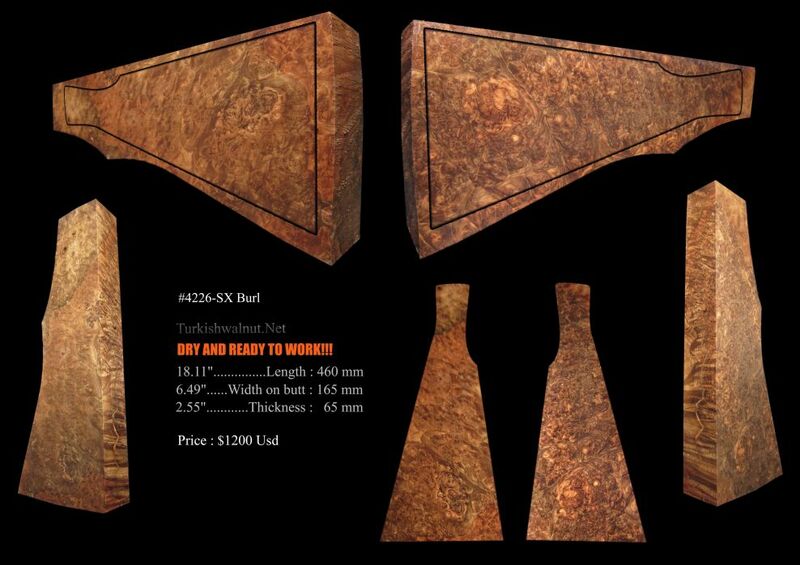 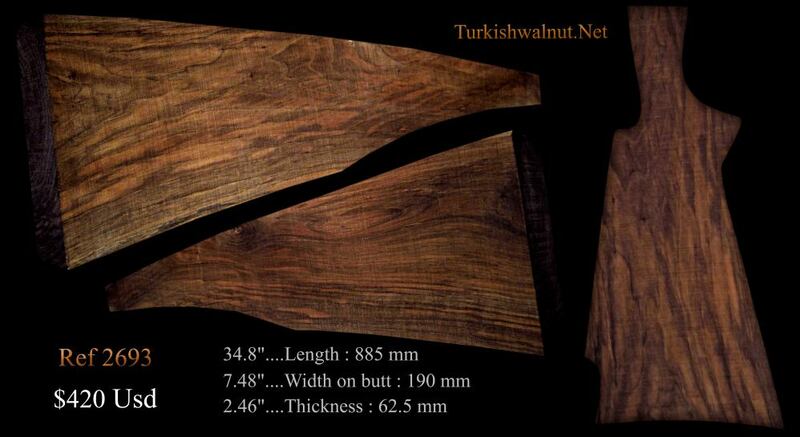 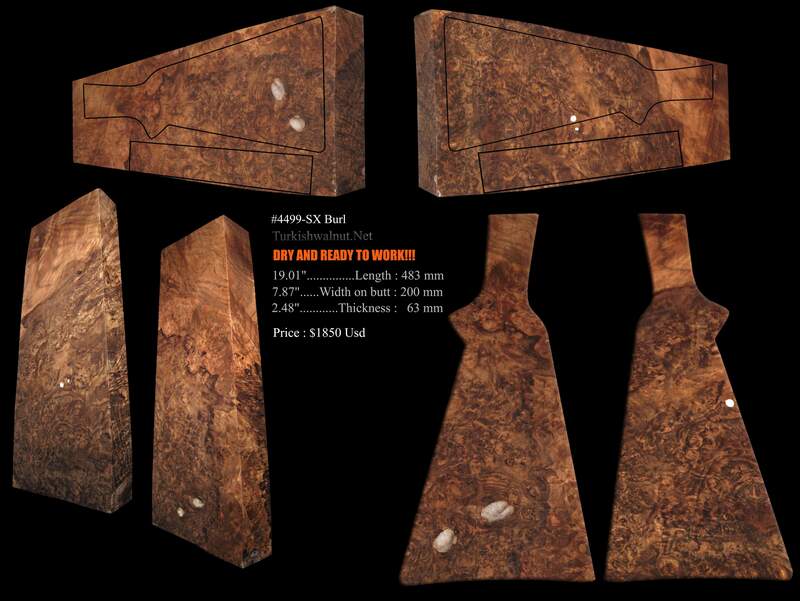 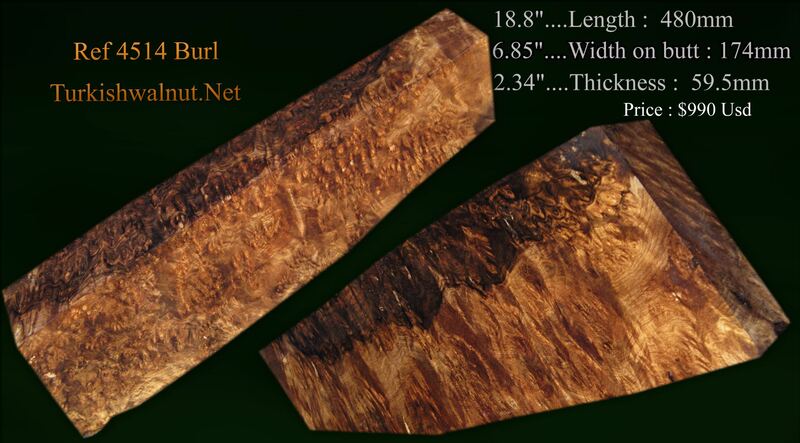 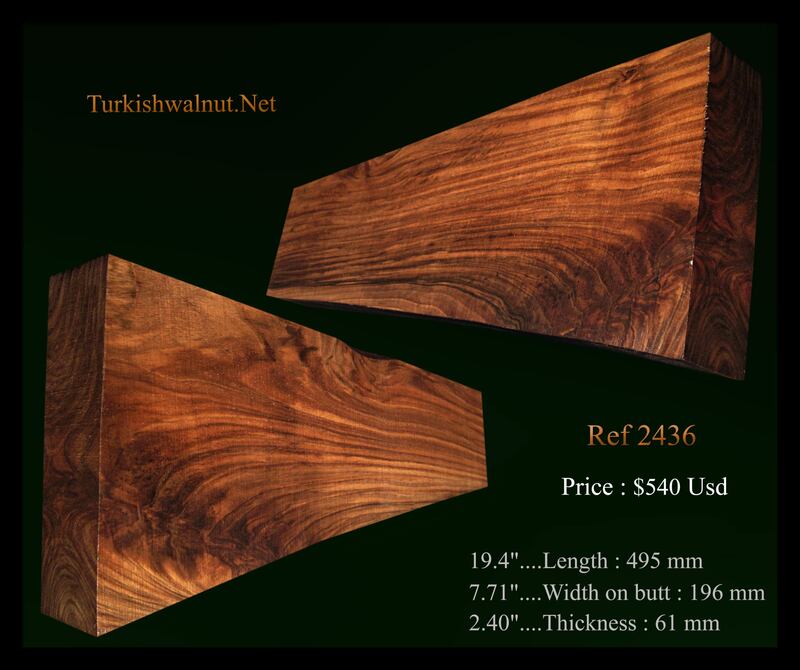 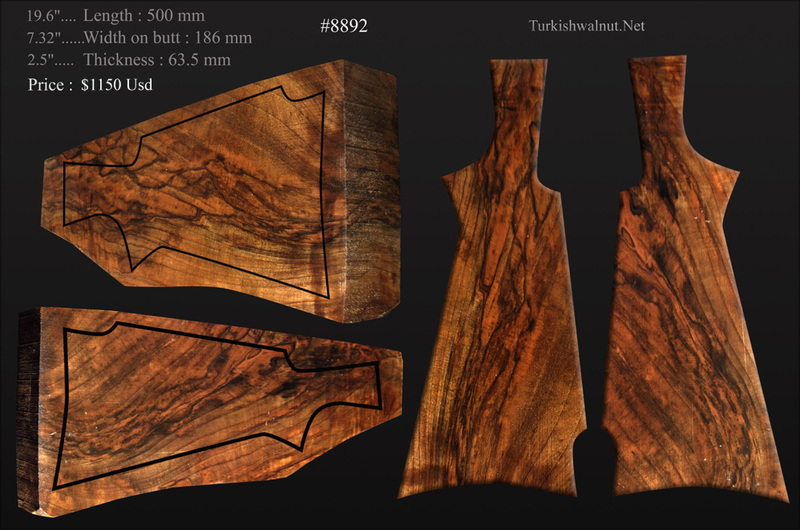 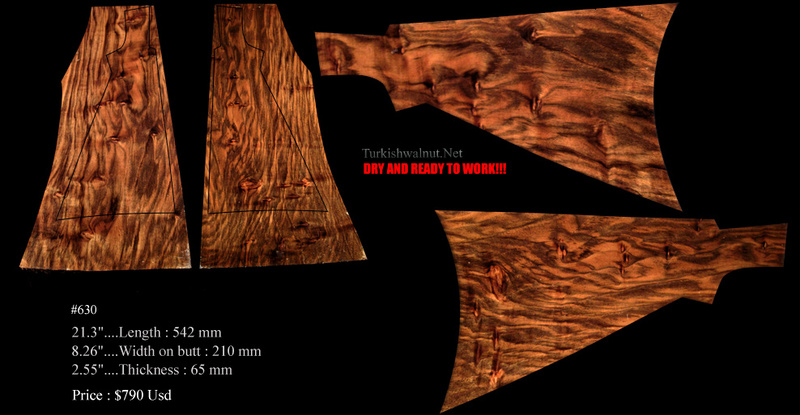 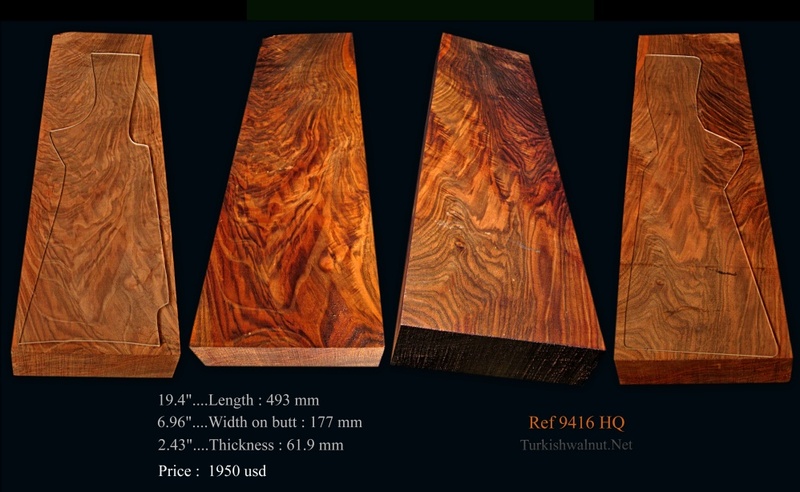 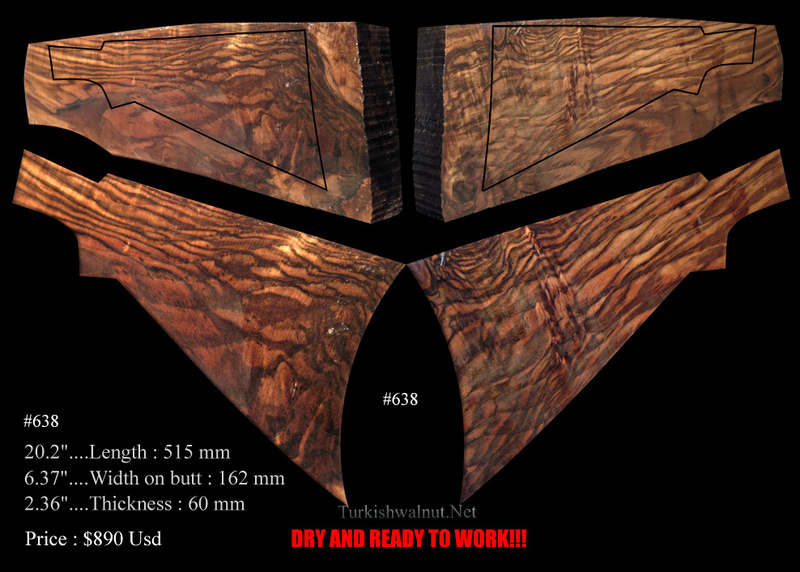 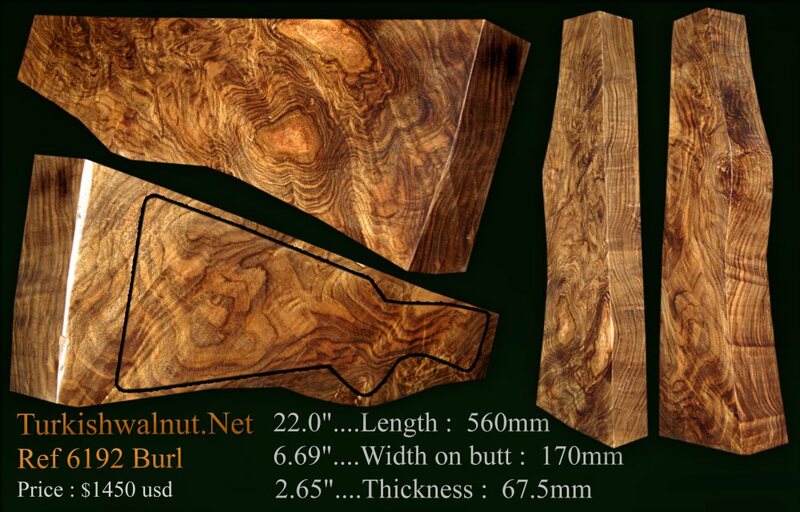 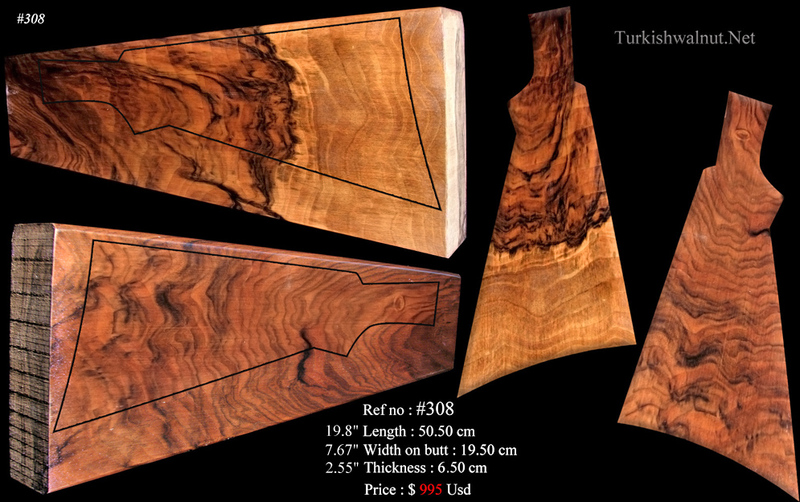 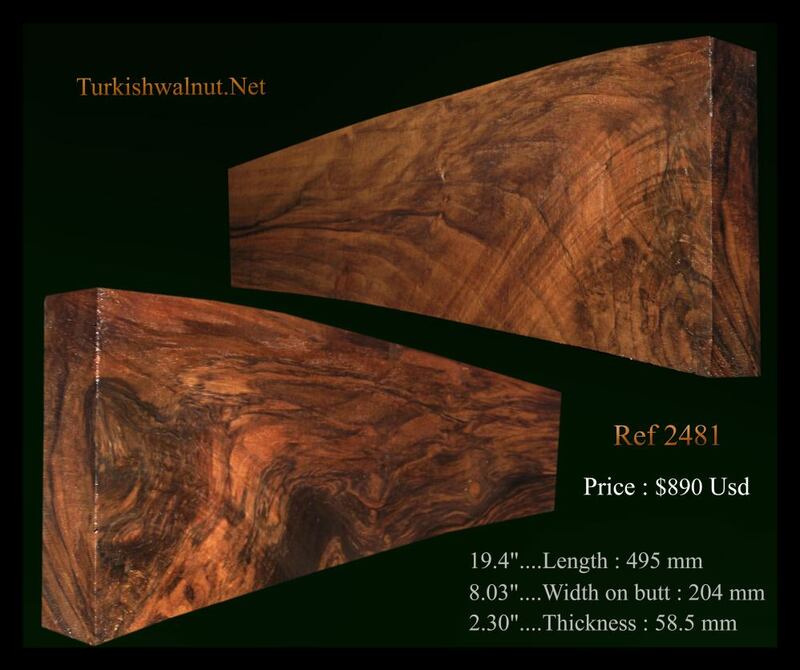 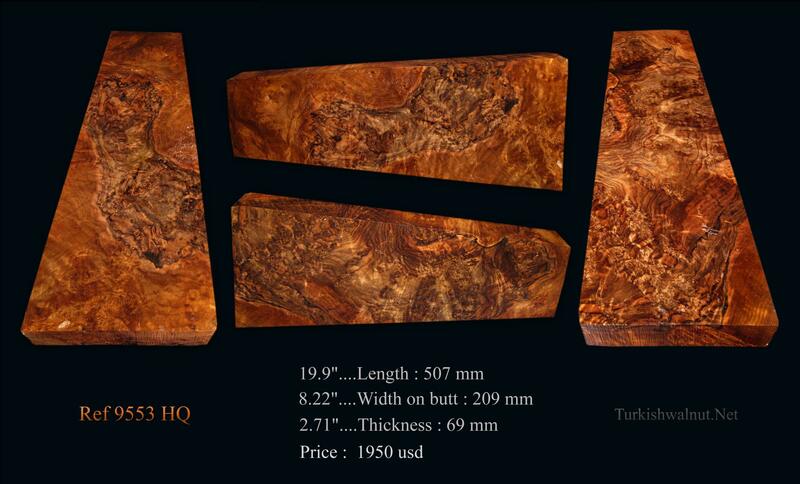 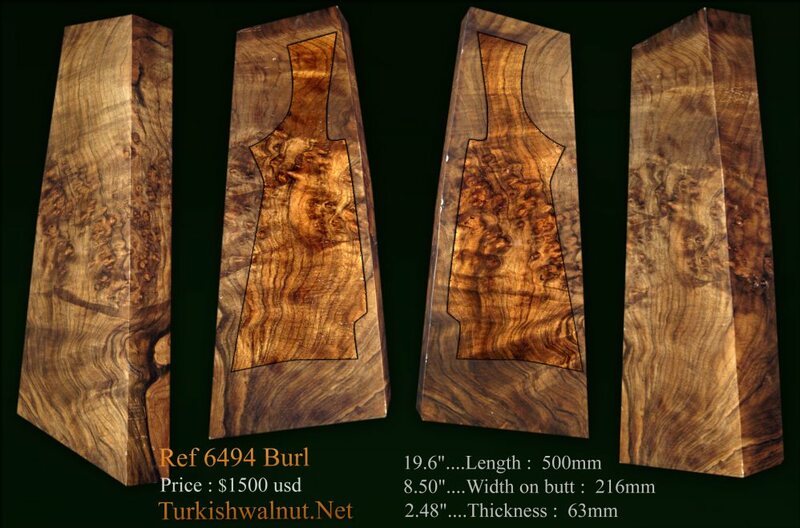 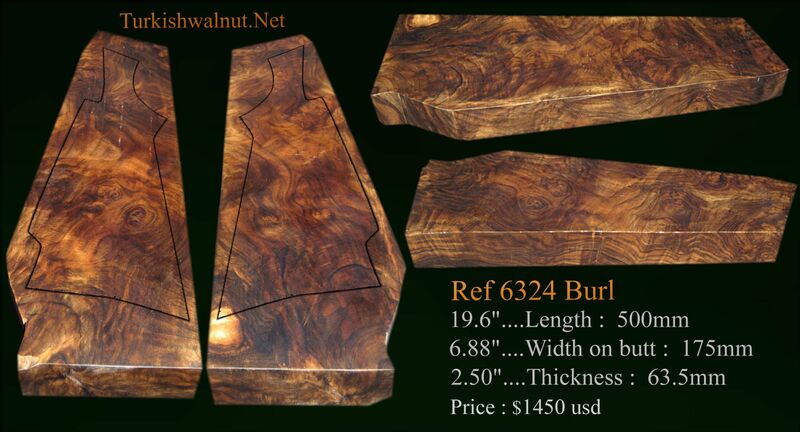 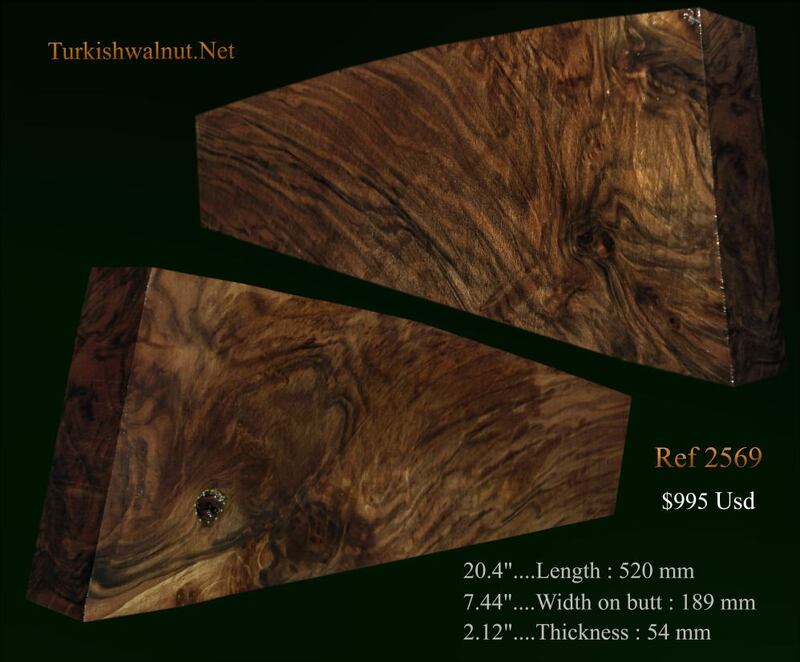 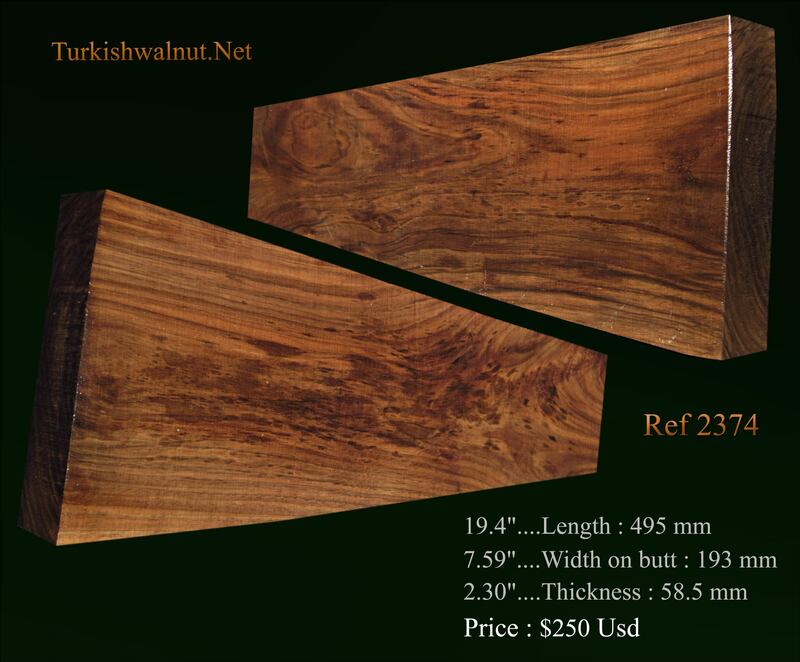 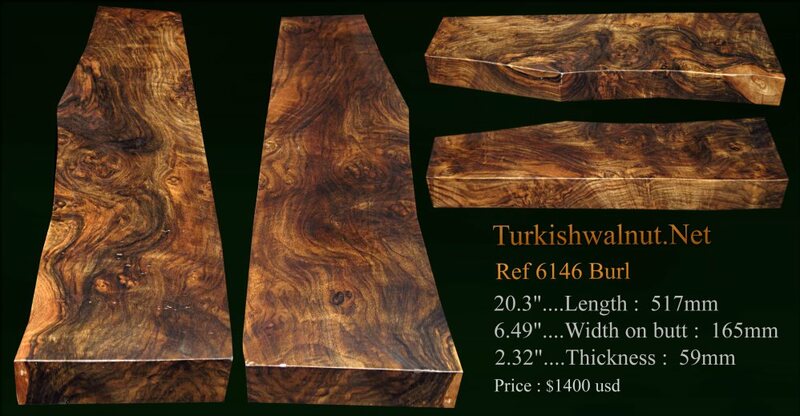 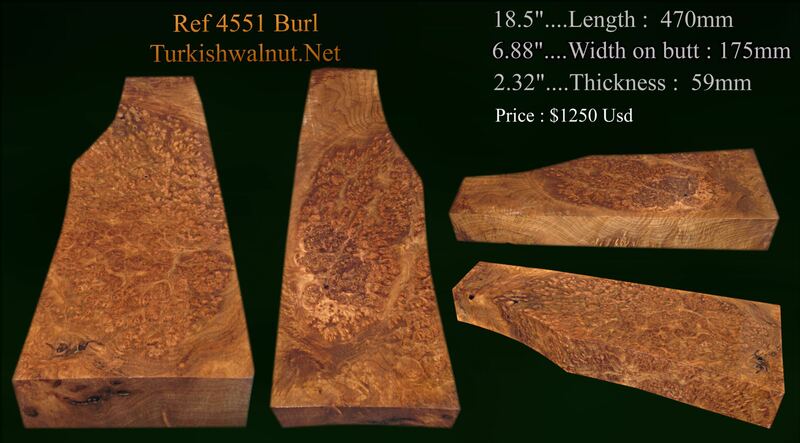 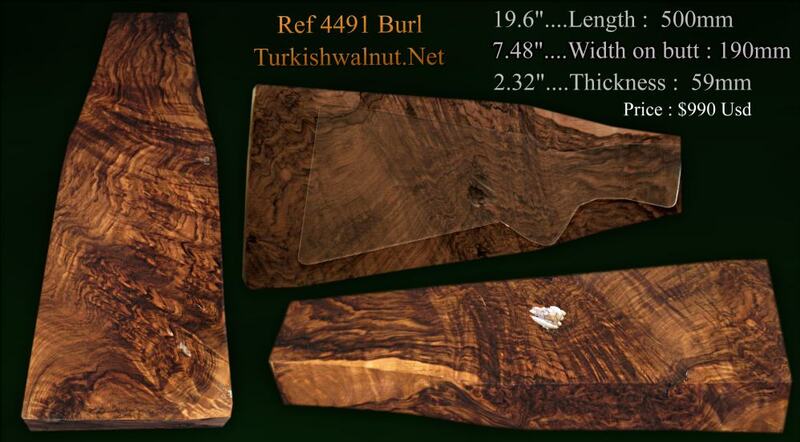 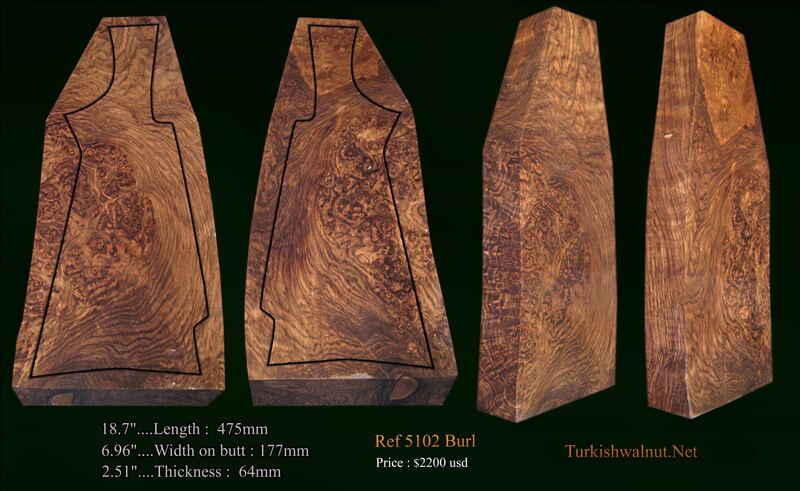 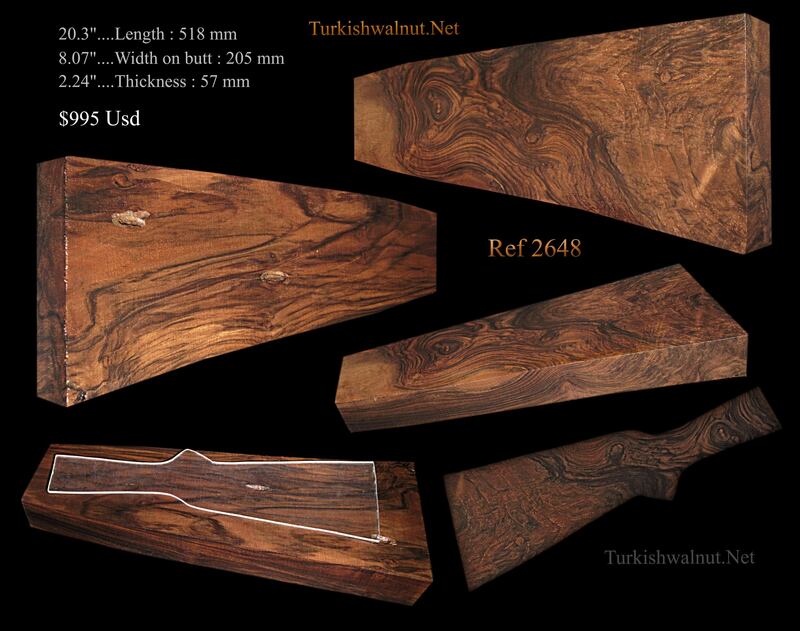 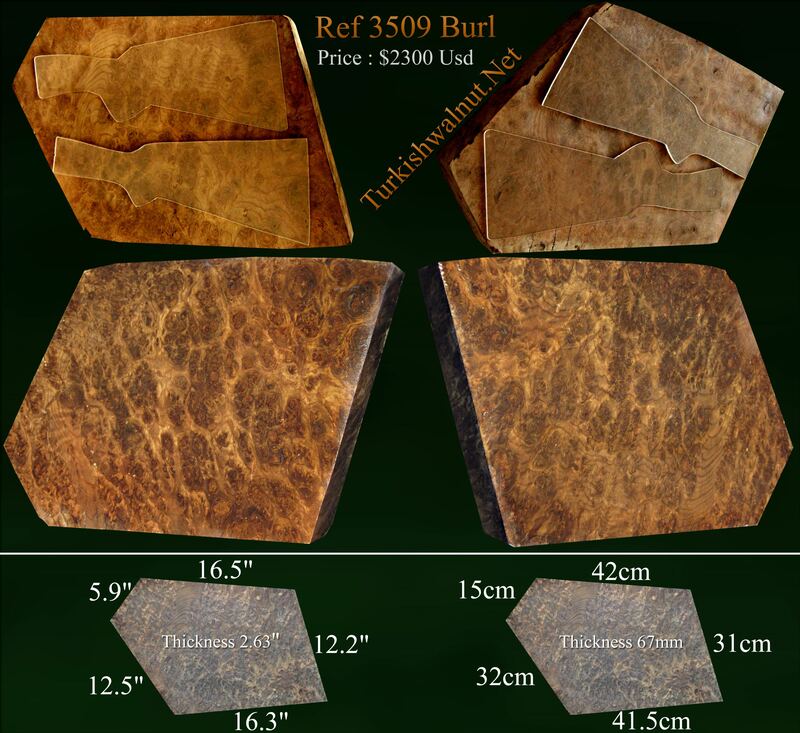 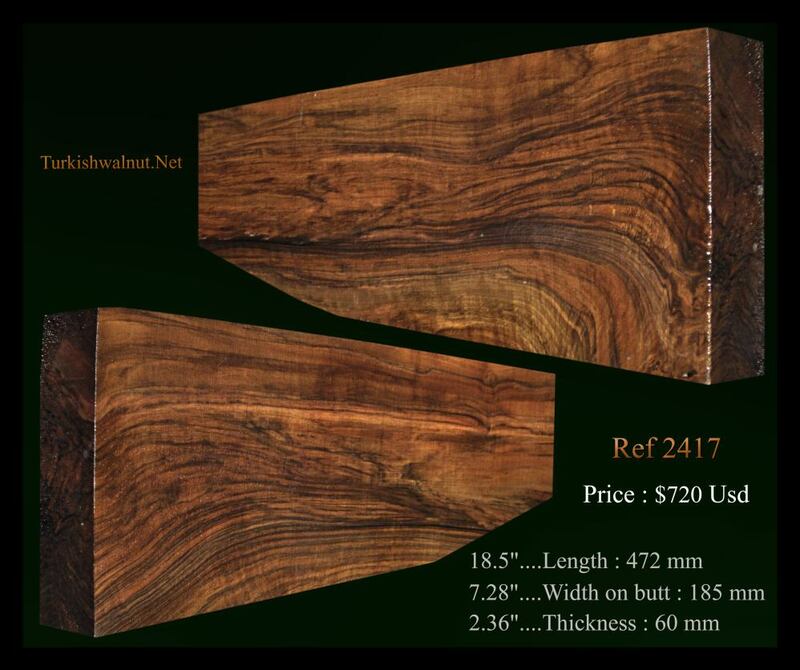 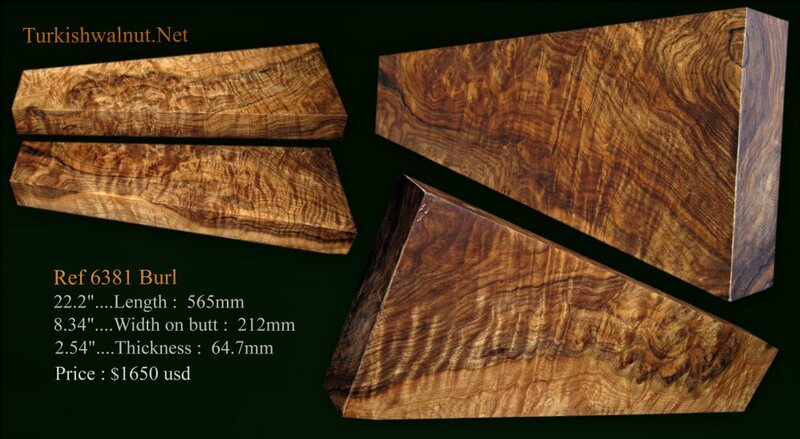 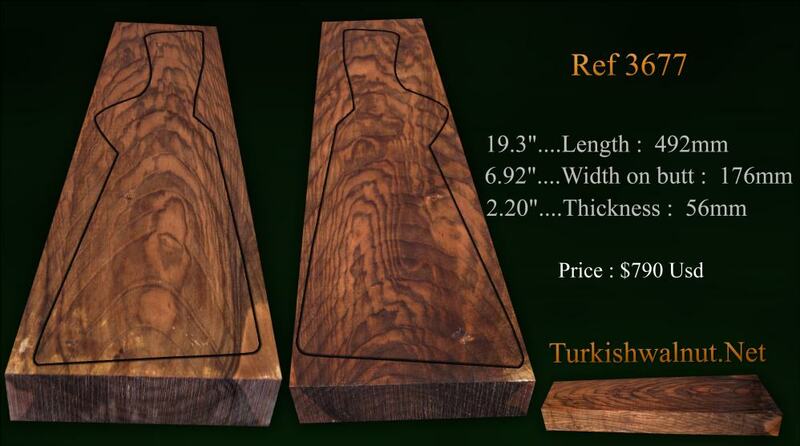 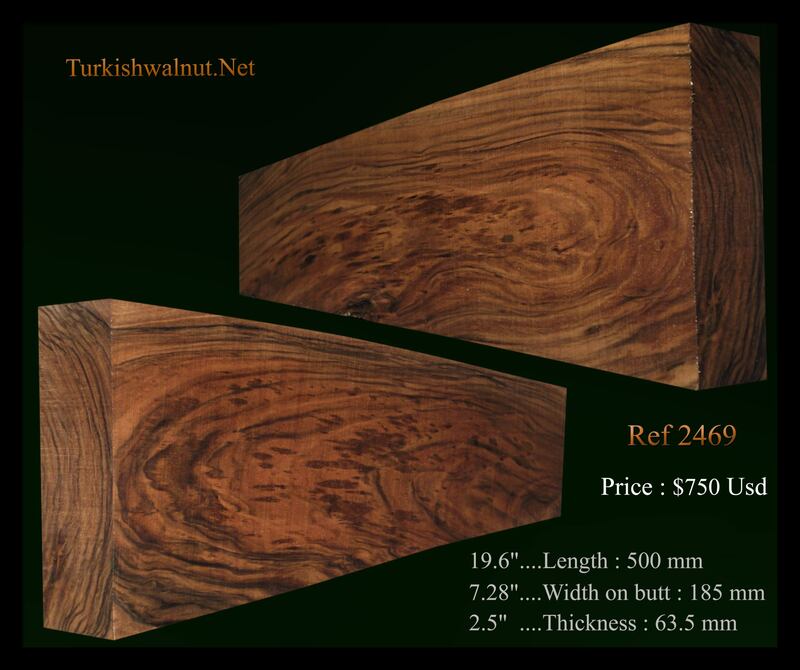 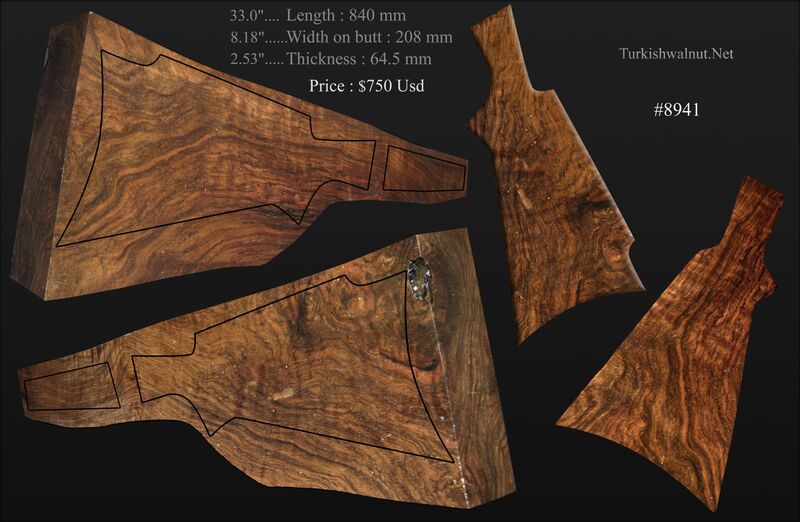 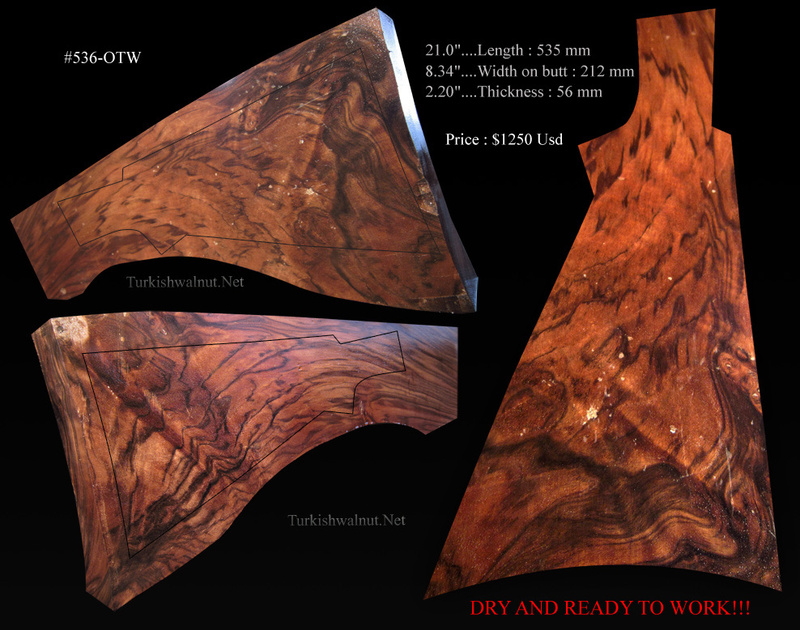 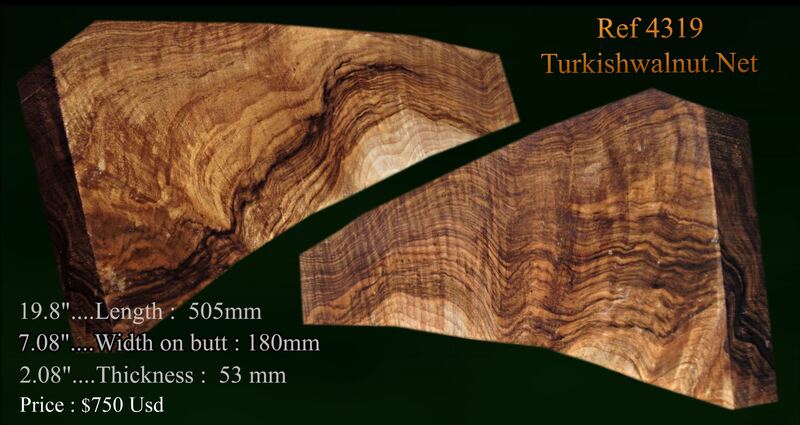 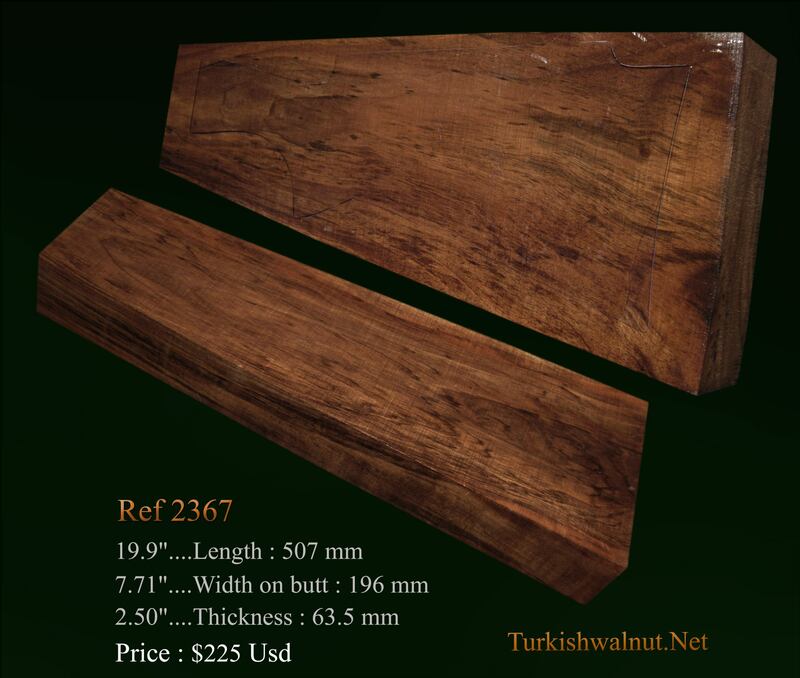 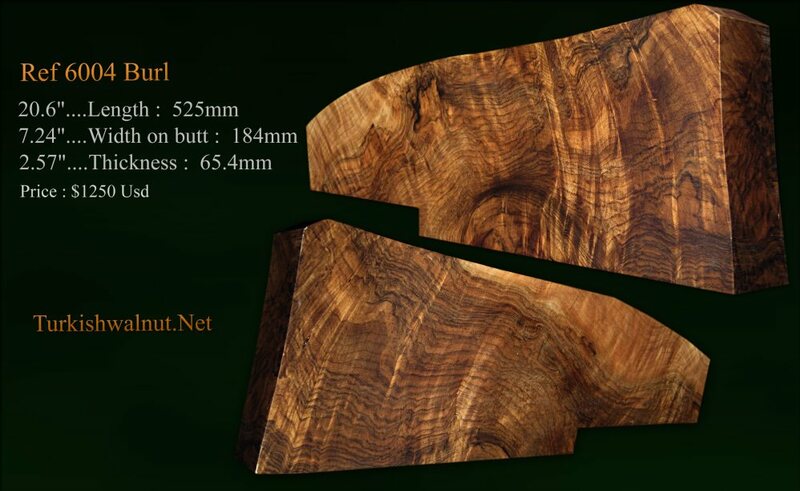 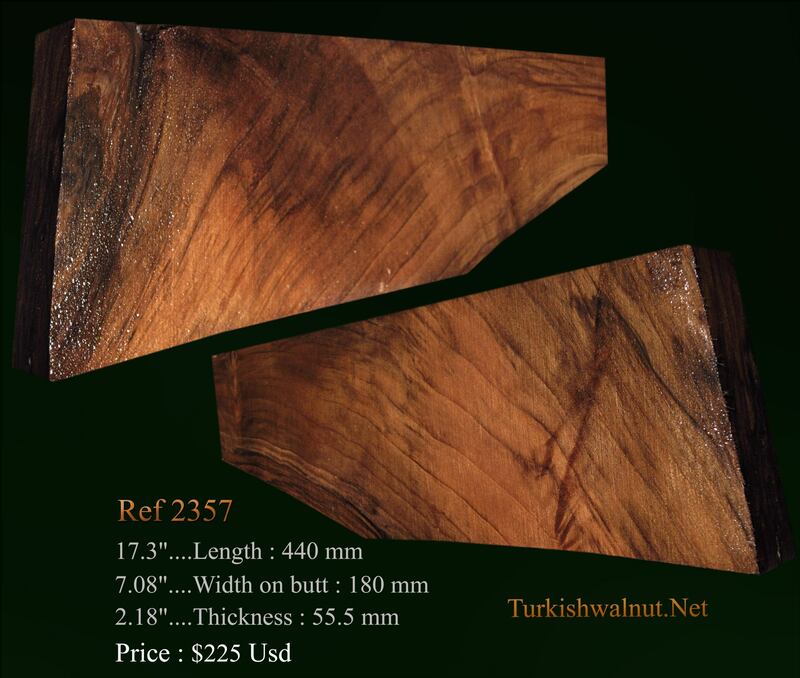 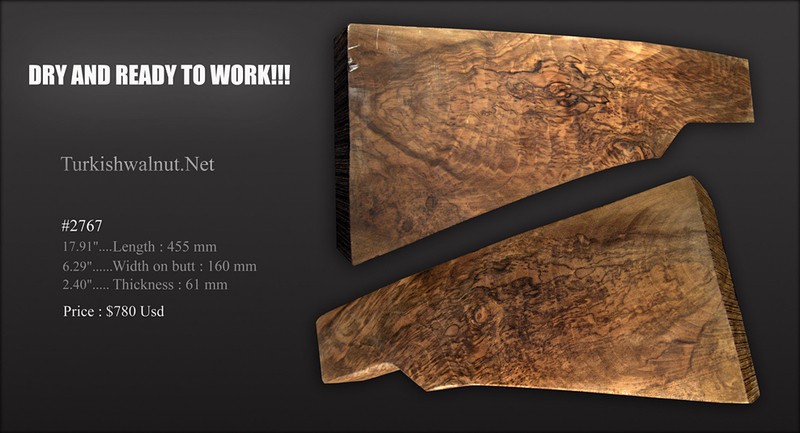 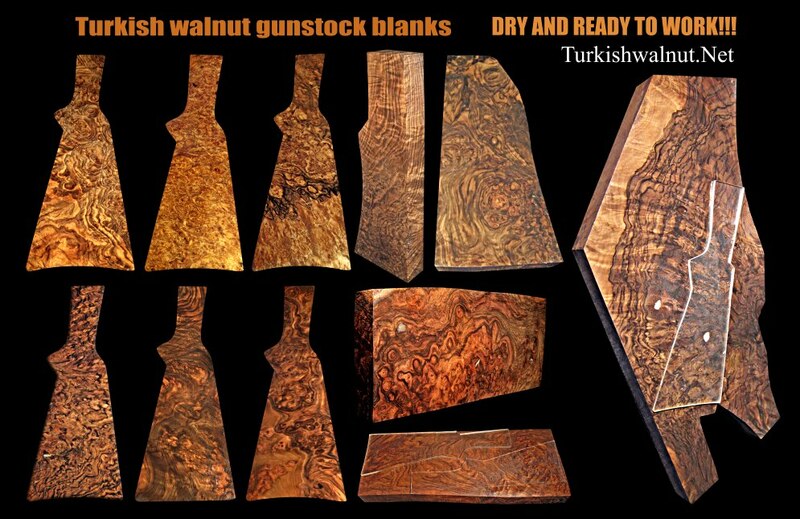 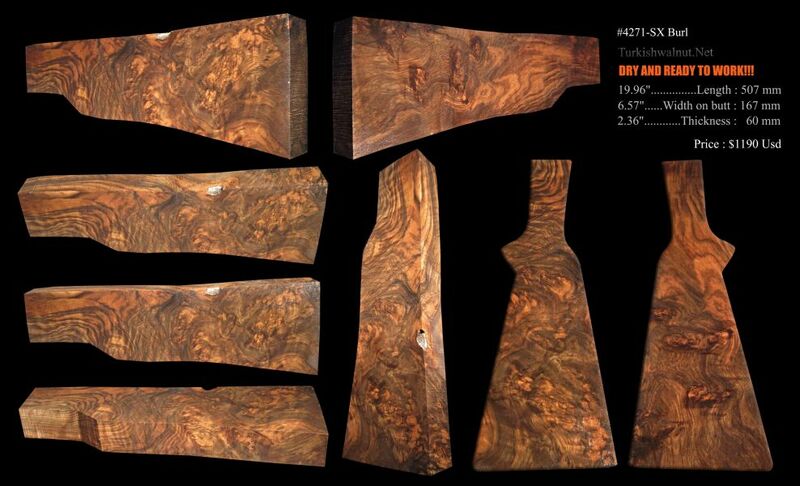 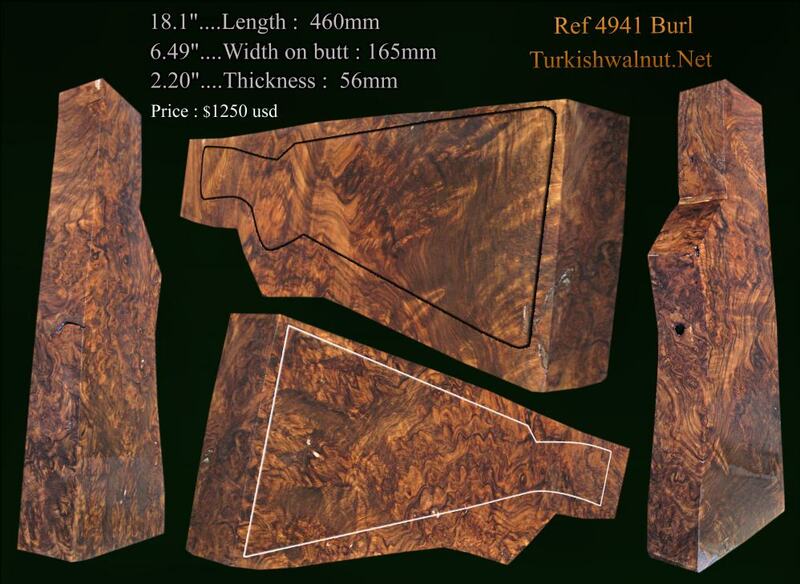 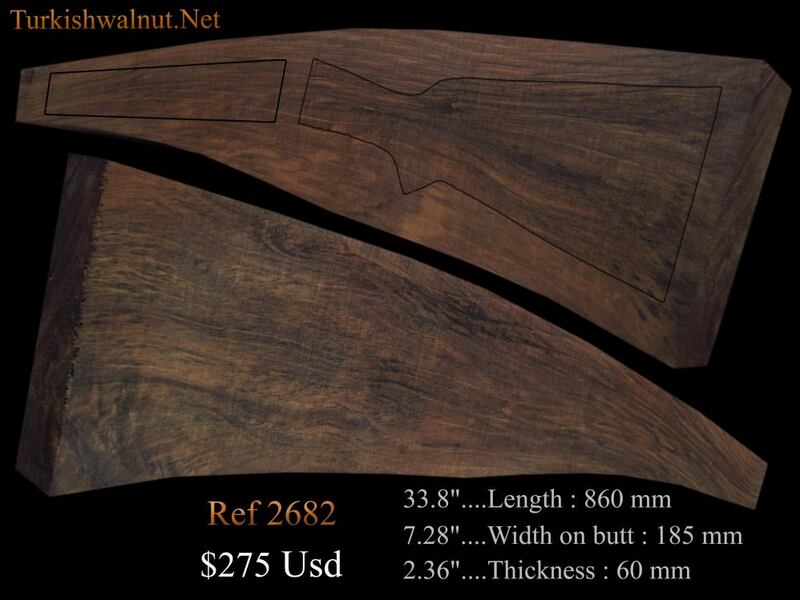 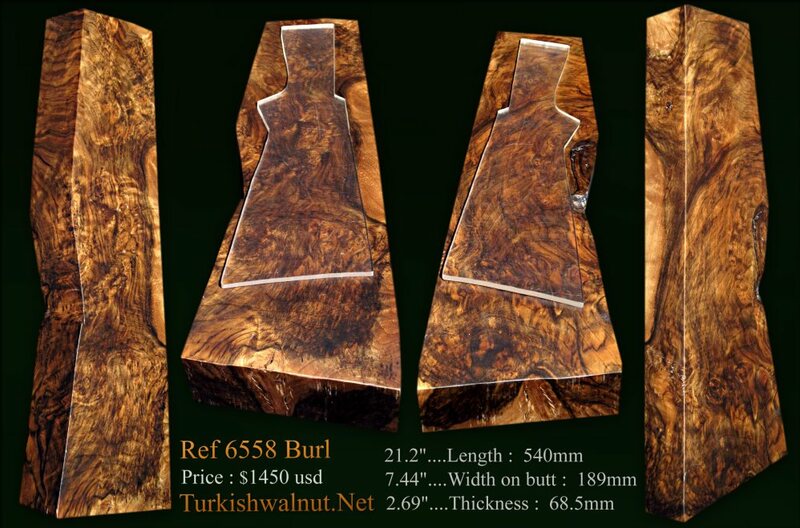 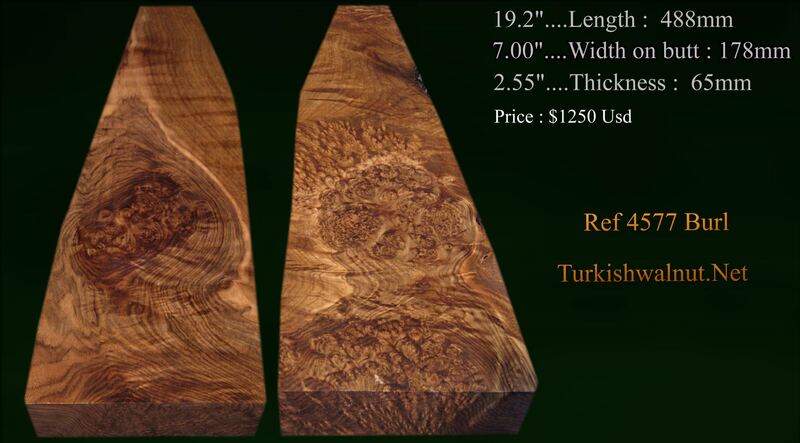 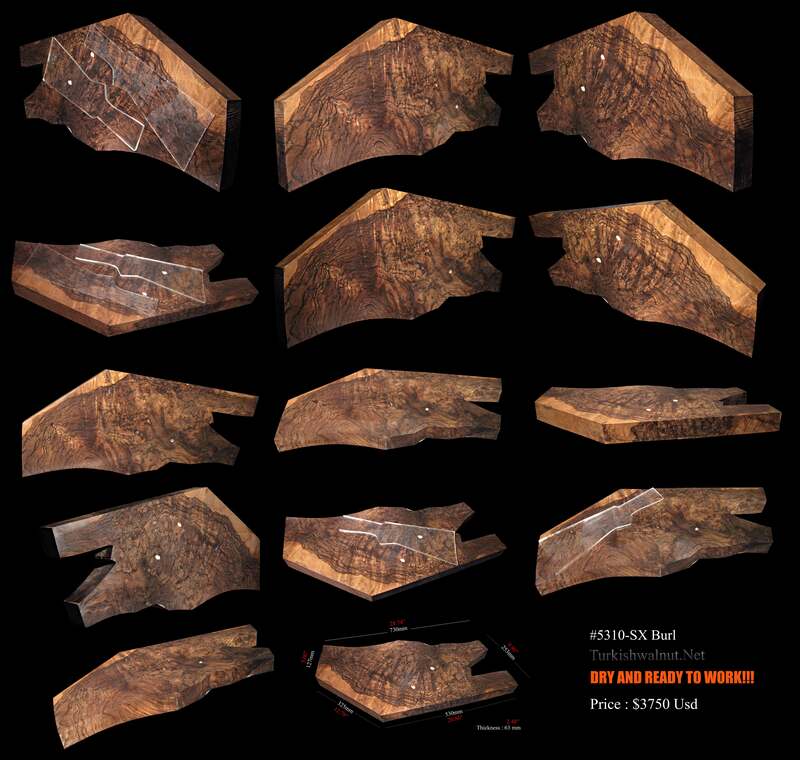 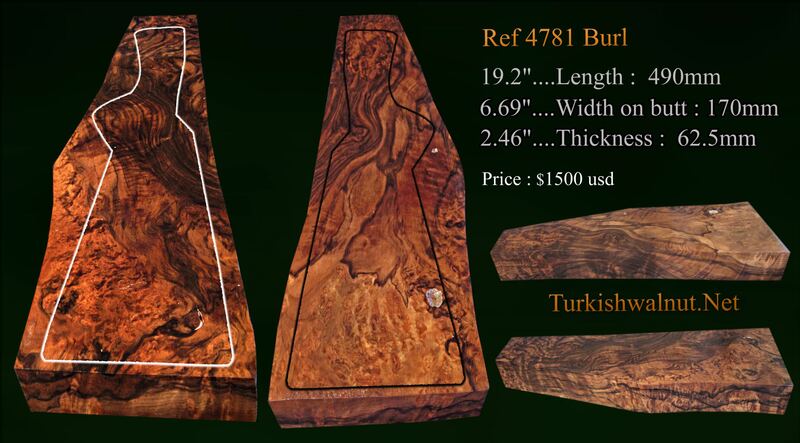 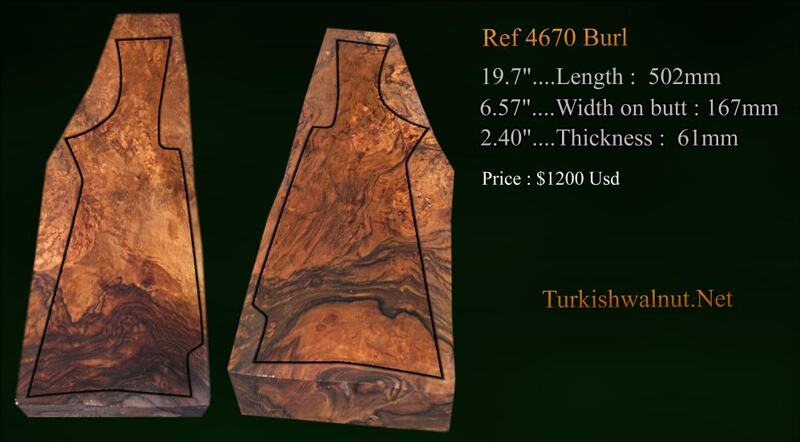 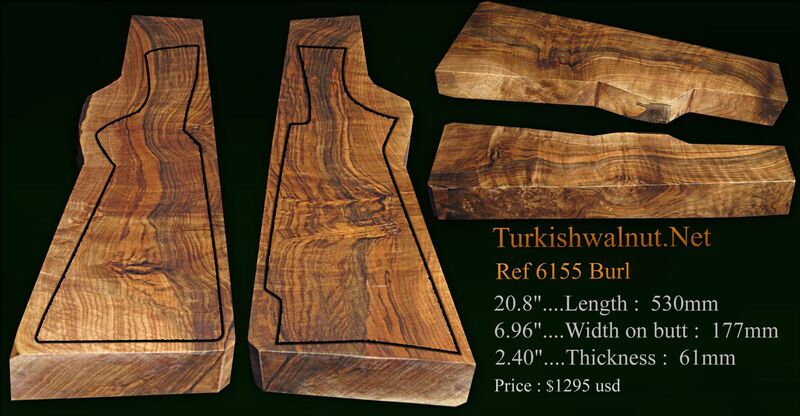 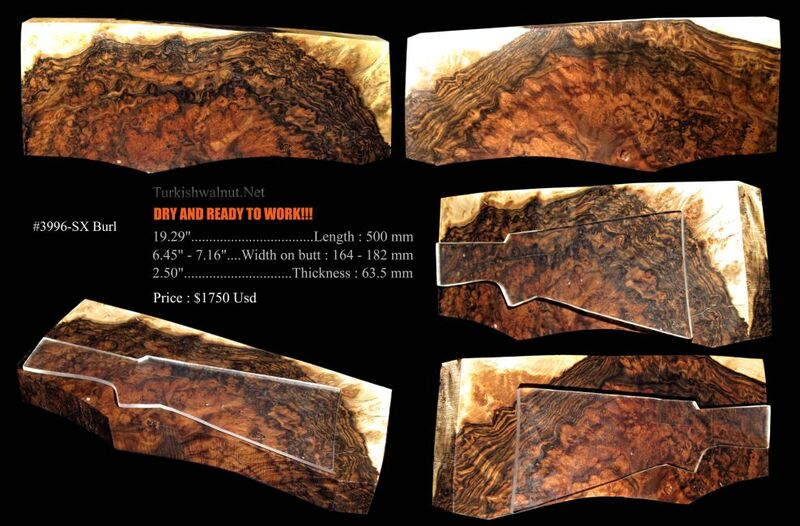 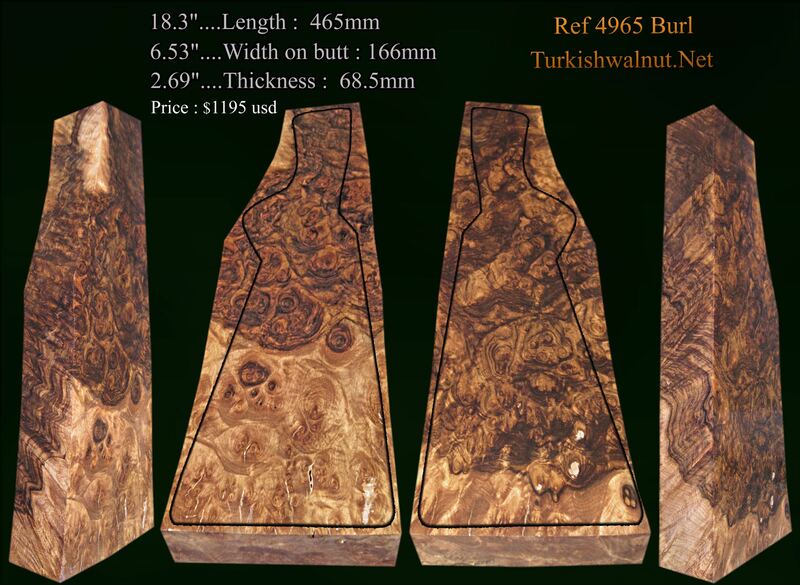 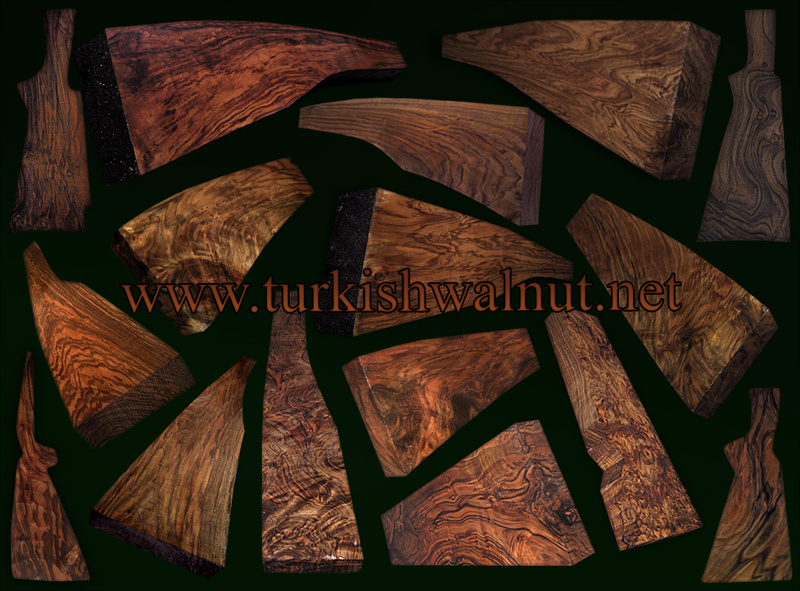 NEW DRY Turkish walnut shotgun stock blanks added!!
. We have wholesale and retail selling.
. Our products are minimum 200 years old and we supply them from the old walnut trees that grow up in the waste fields of Anatolia.
. We can produce according to your demands.
. Each shotgun blank comes with a matching forearm blank.